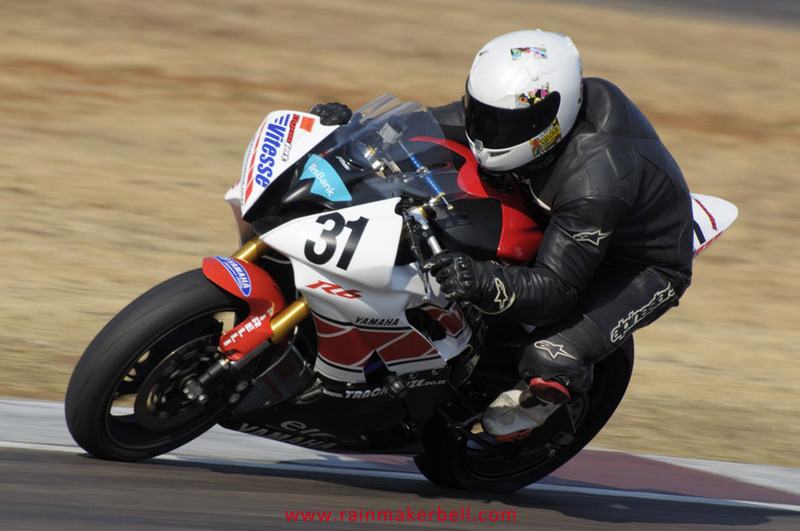 The Joker is not yet in the house, maybe it’s too early for his liking; or the early morning infamous Pretoria traffic was slowing him down to tortoise-pace. 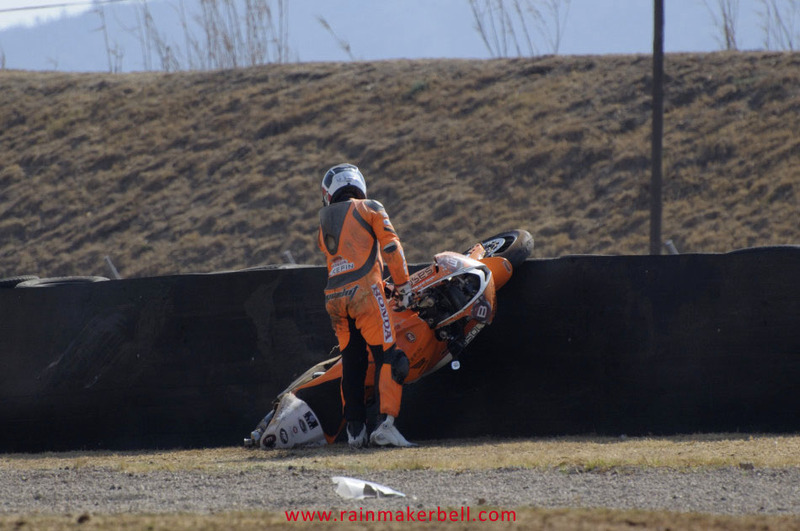 This had to be immensely frustrating (and detrimental) for the young man, since Nicolas #22 (the original superbike Joker) is used to flying, on the race track that is. 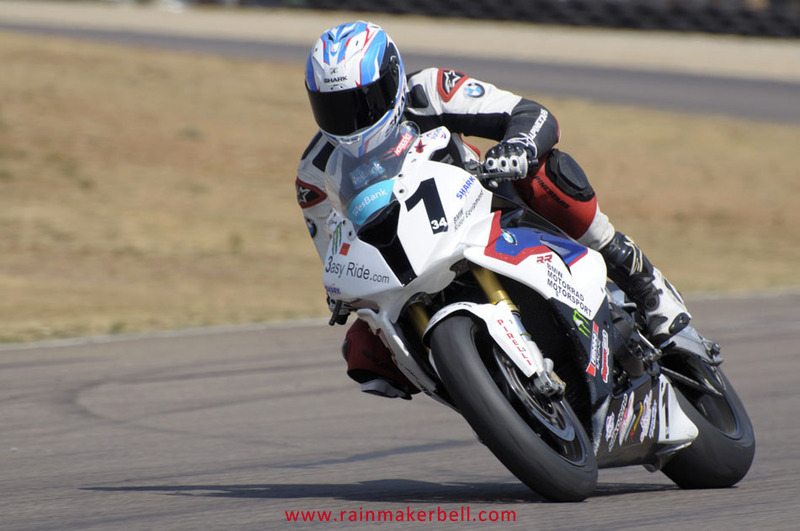 At a speed of up to 285kph on his BMW S1000RR superbike—super fast—not even the devil on Judgement Day would be able to collect from him. 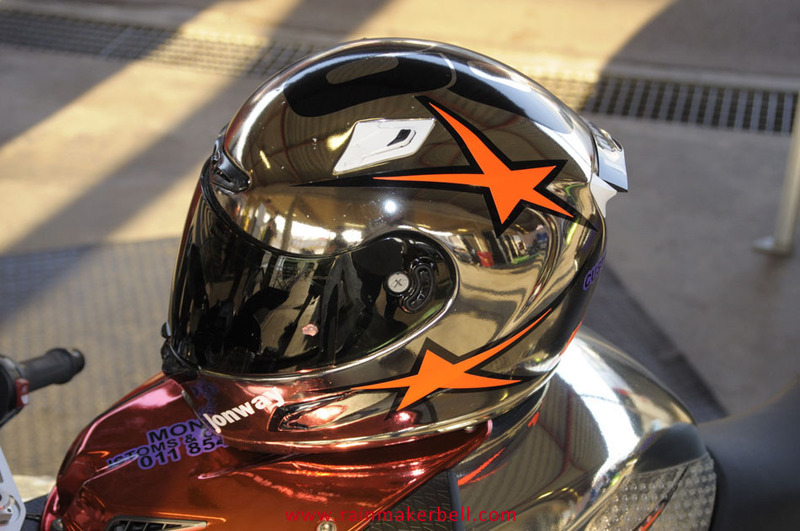 That and maybe the fact the whole chrome affair might just side-track him. 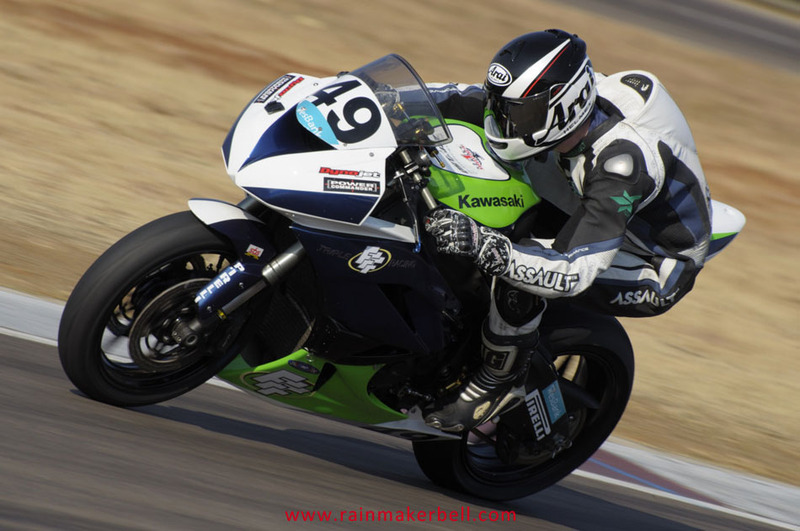 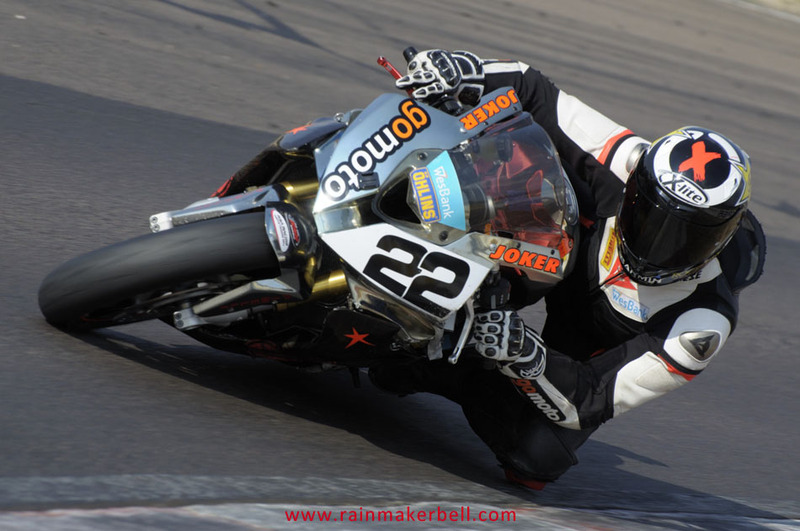 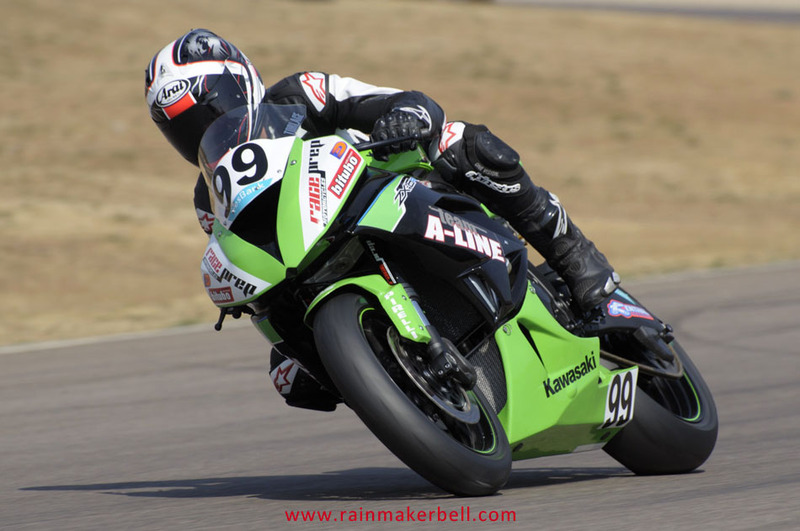 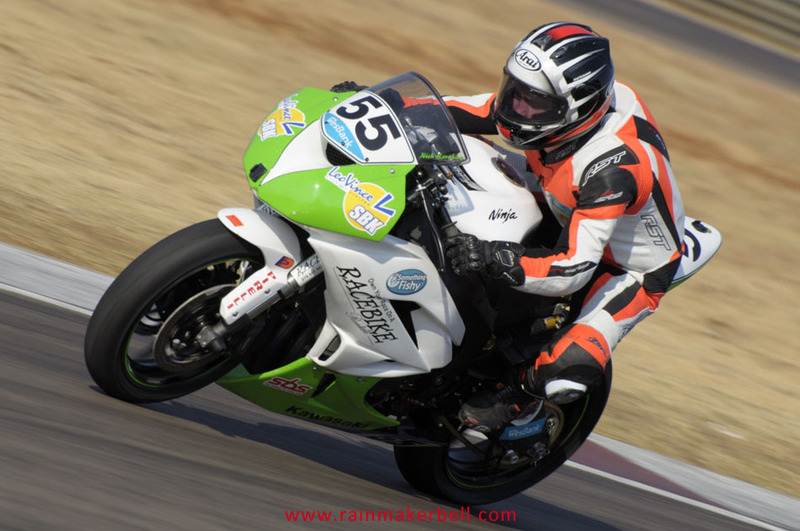 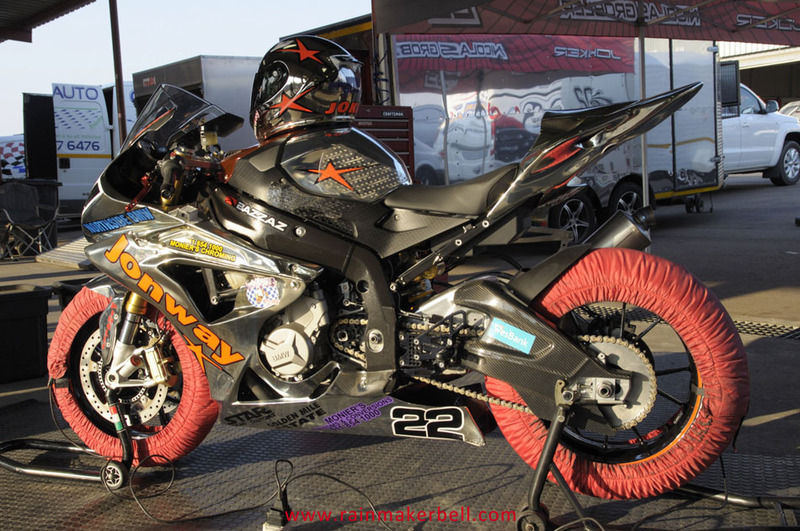 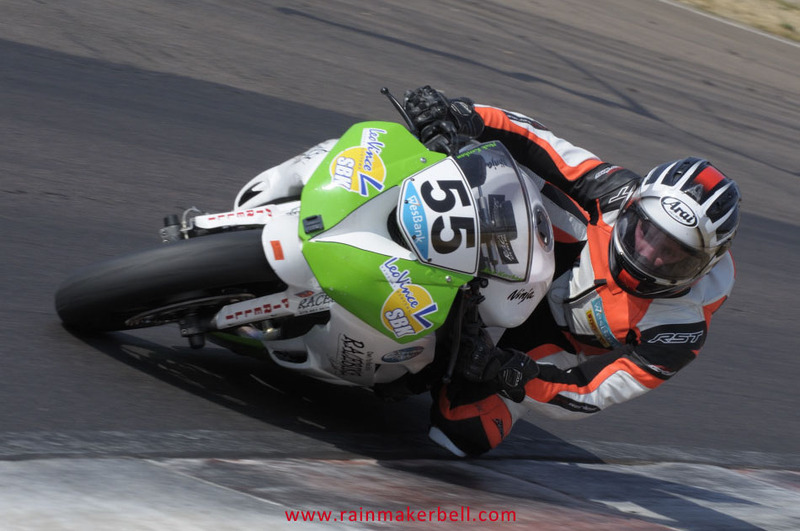 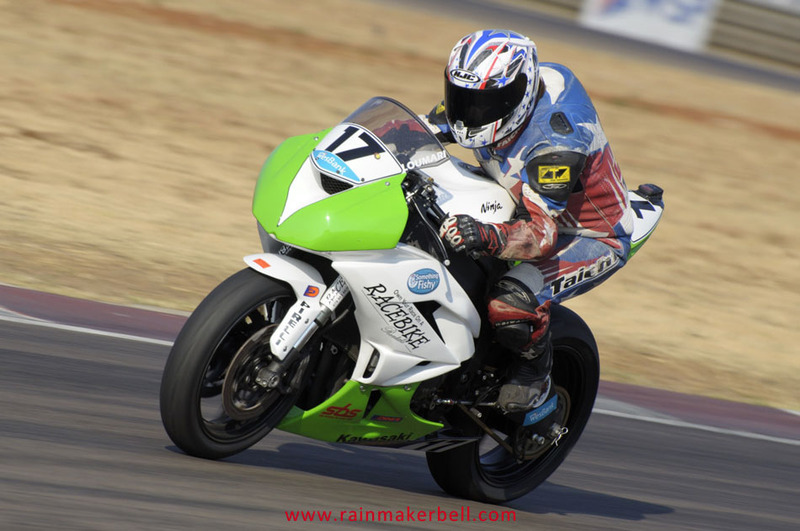 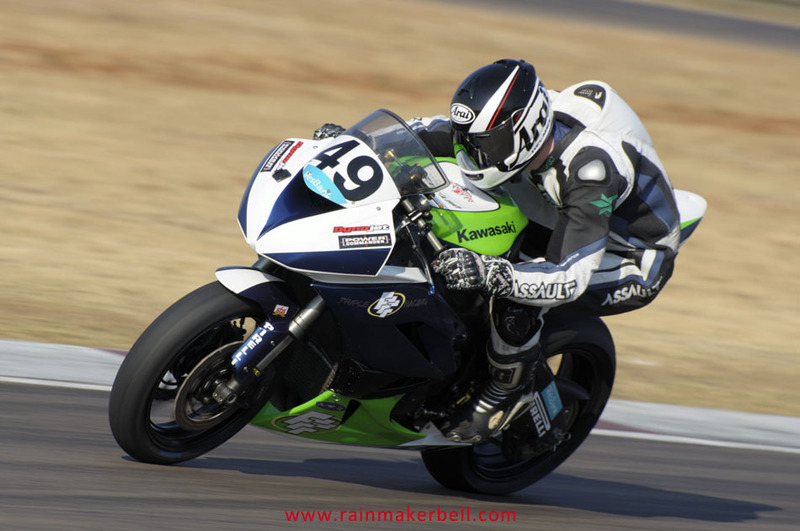 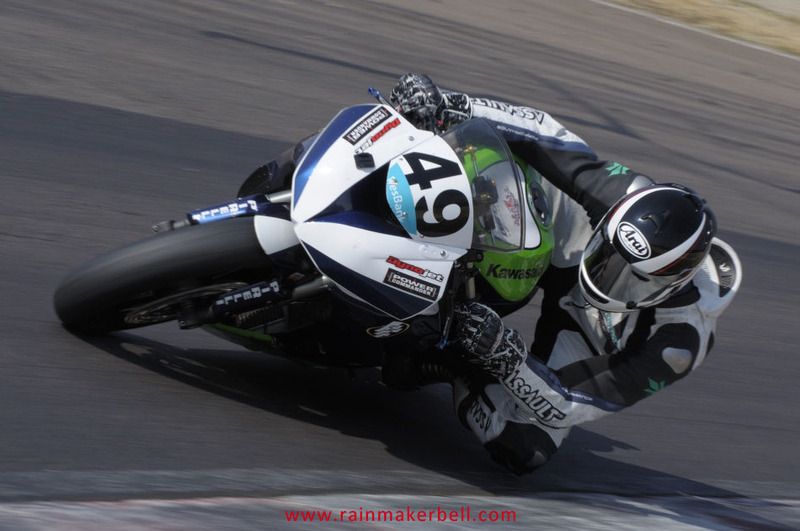 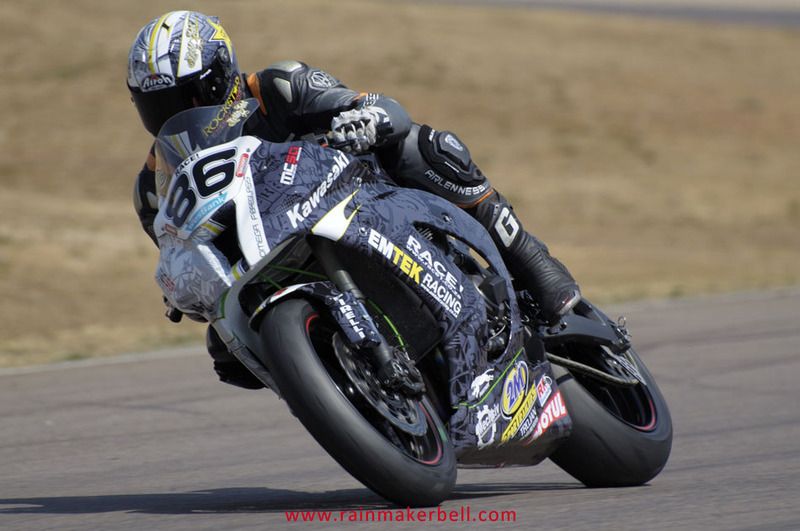 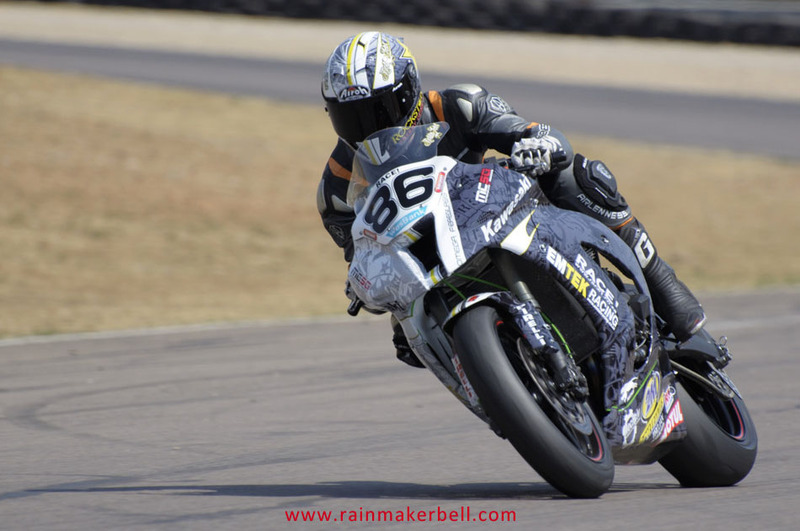 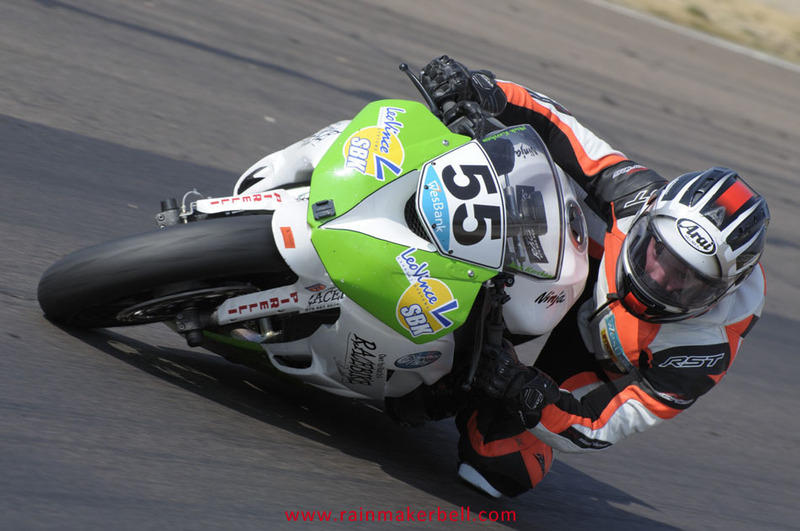 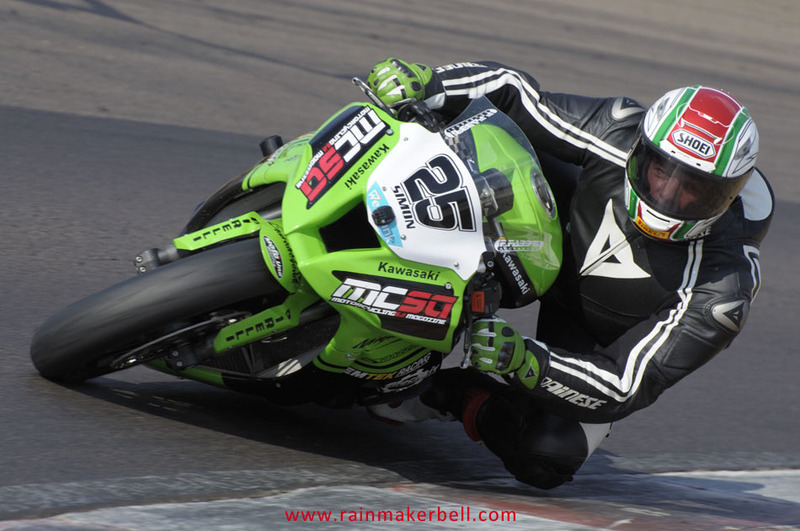 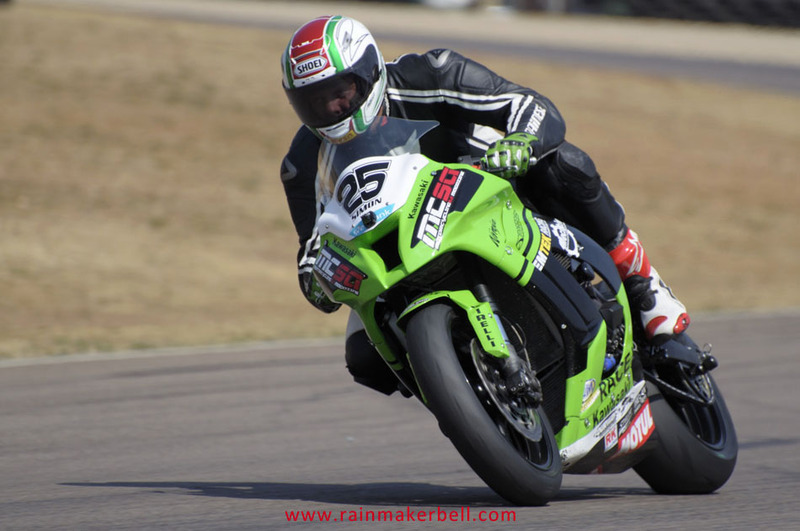 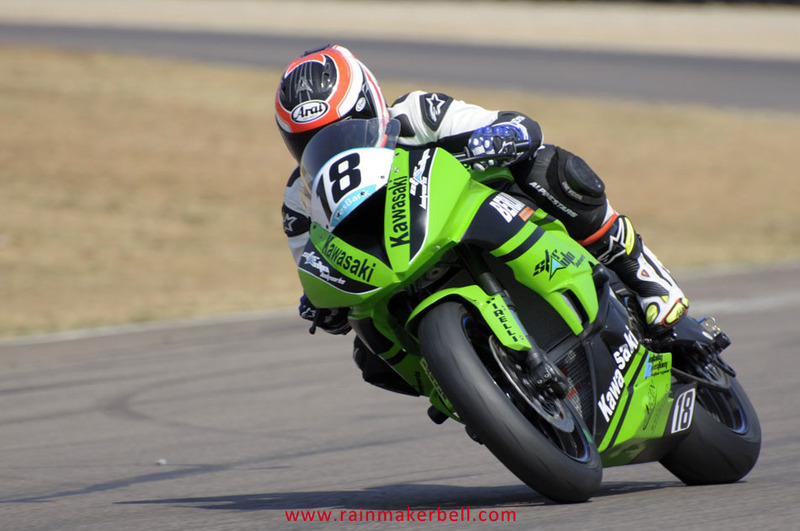 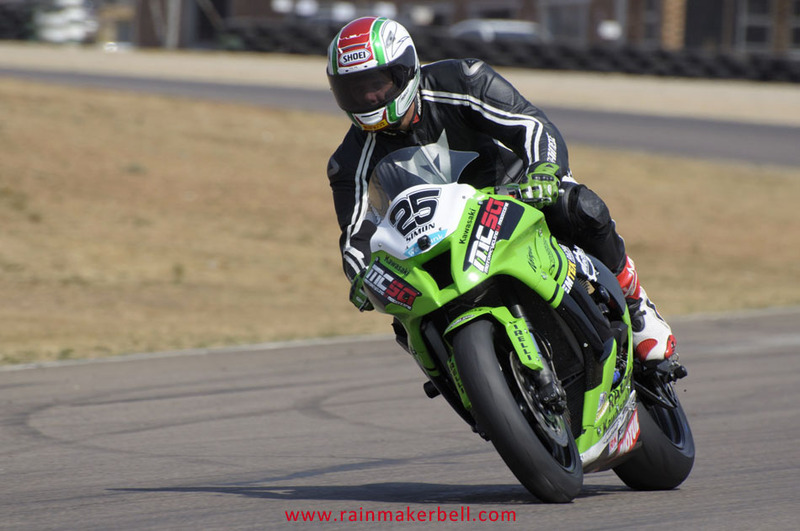 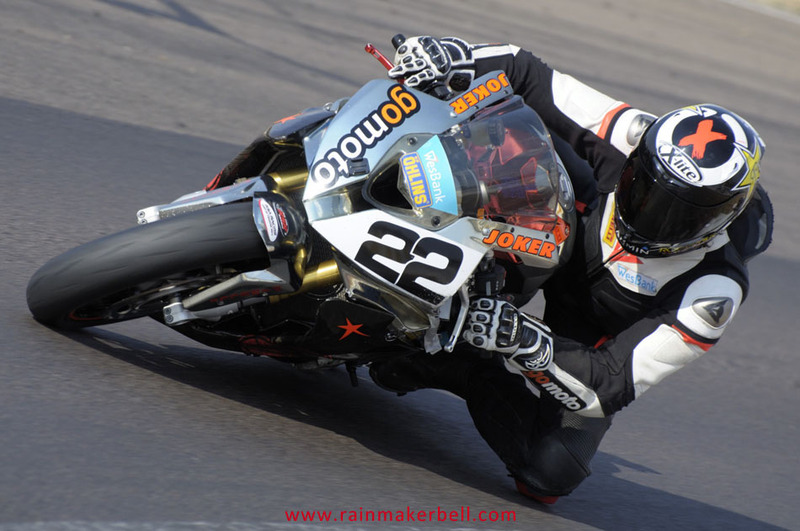 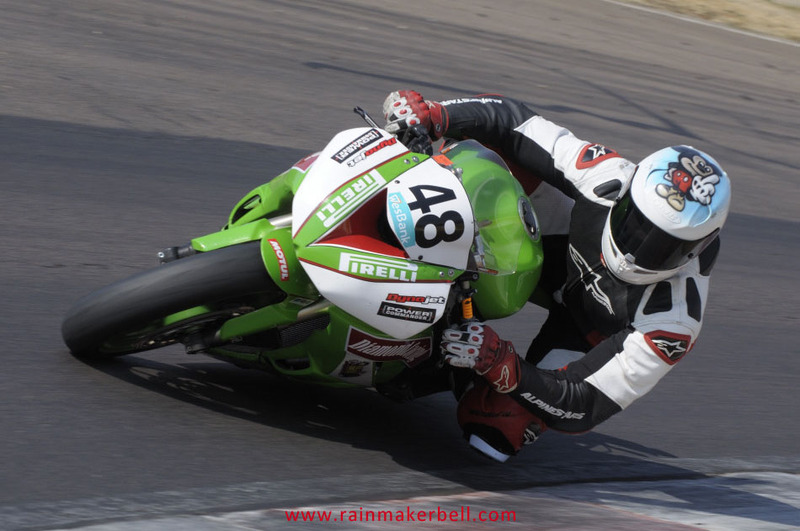 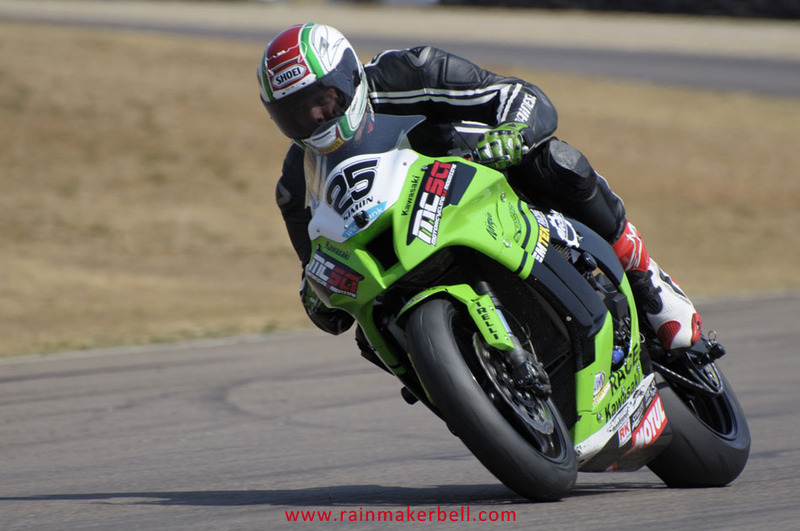 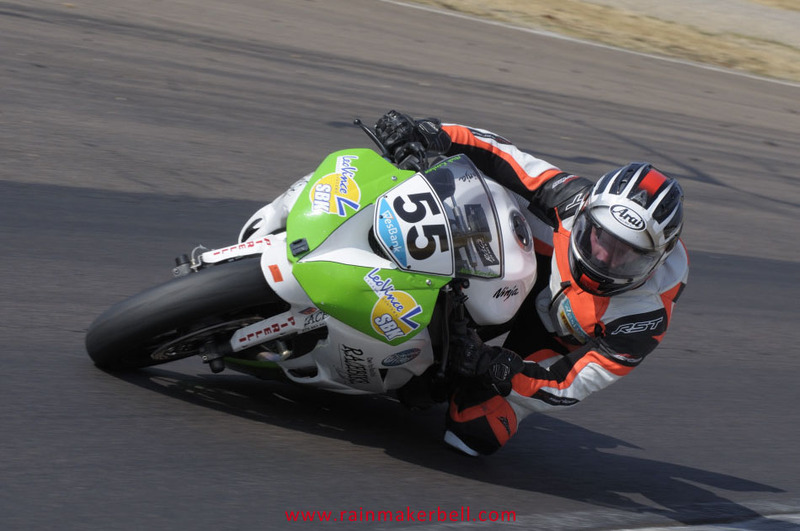 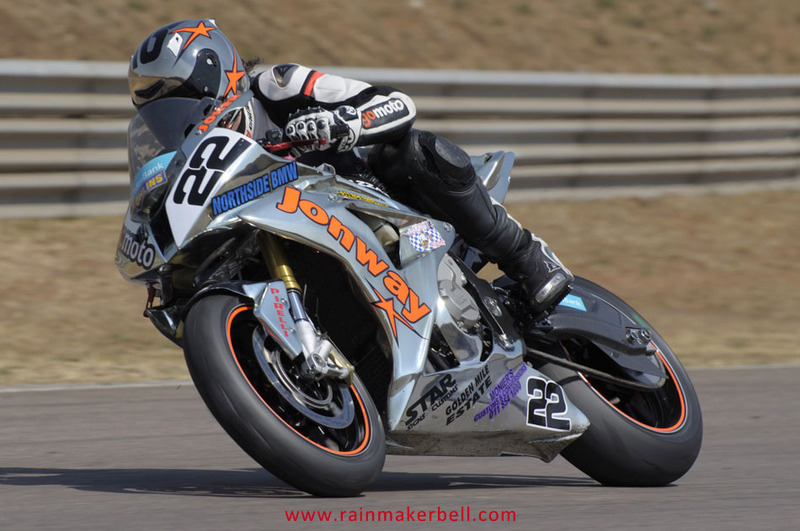 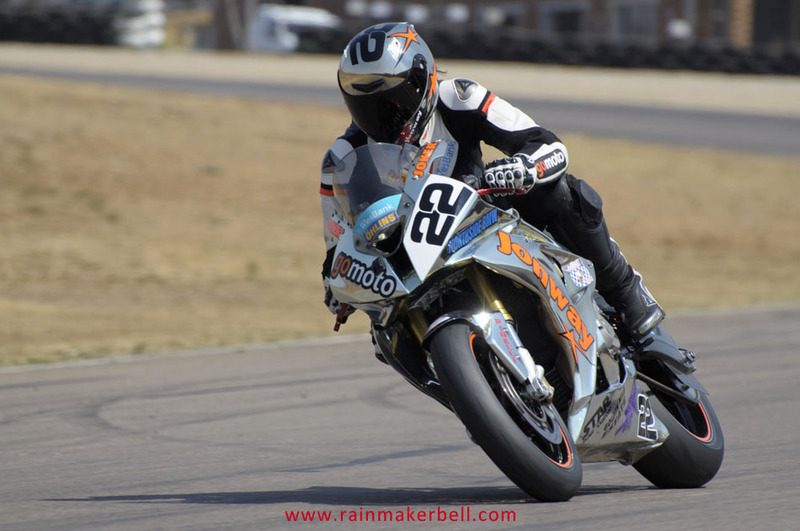 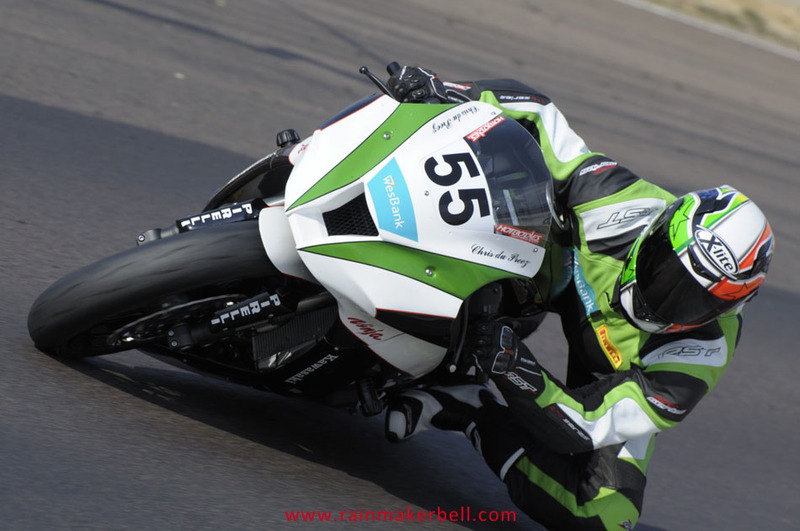 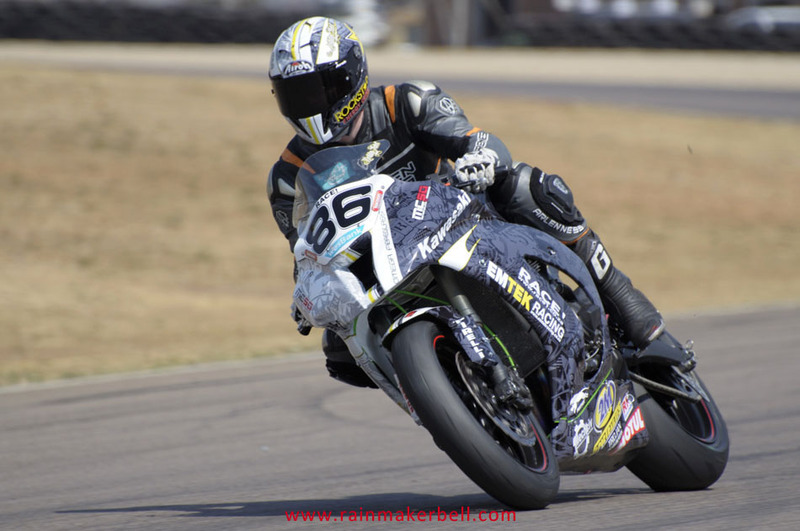 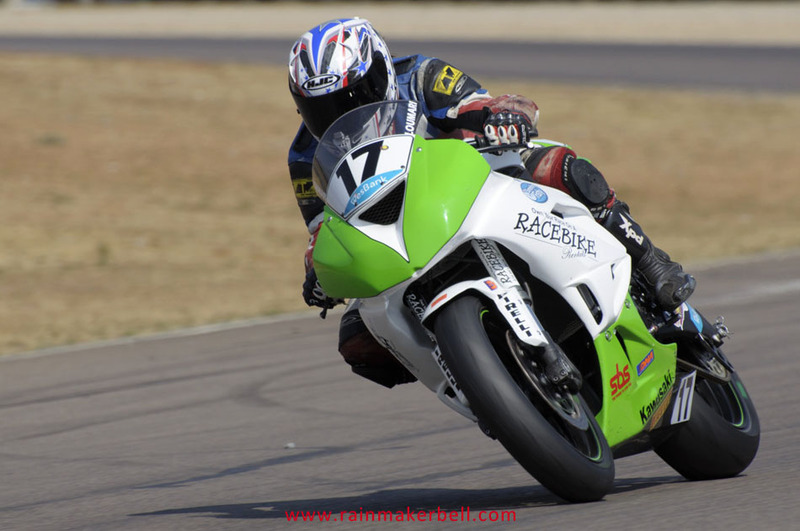 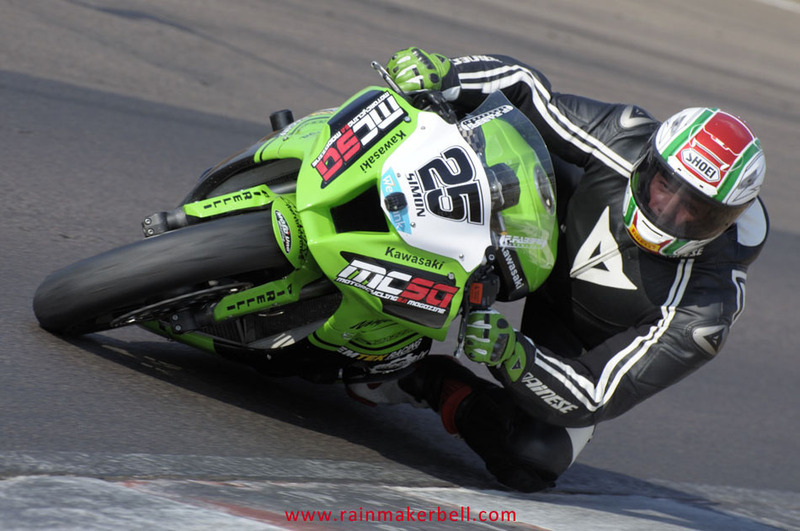 While standing in the Joker’s corner, waiting, I grabbed the opportunity to talk to another bright and upcoming young star, Stoof (Rhyno) Stander # 24—currently making his mark in the Northern Regions Racing on a Kawasaki ZX6R—about local heroes. 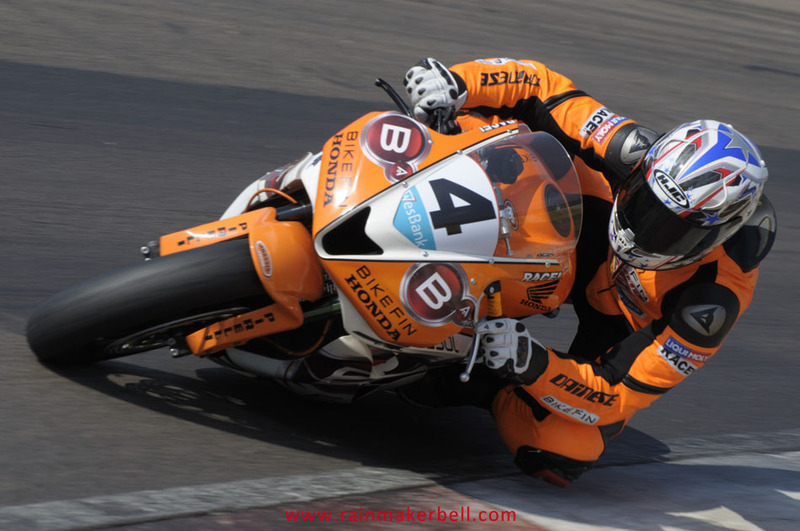 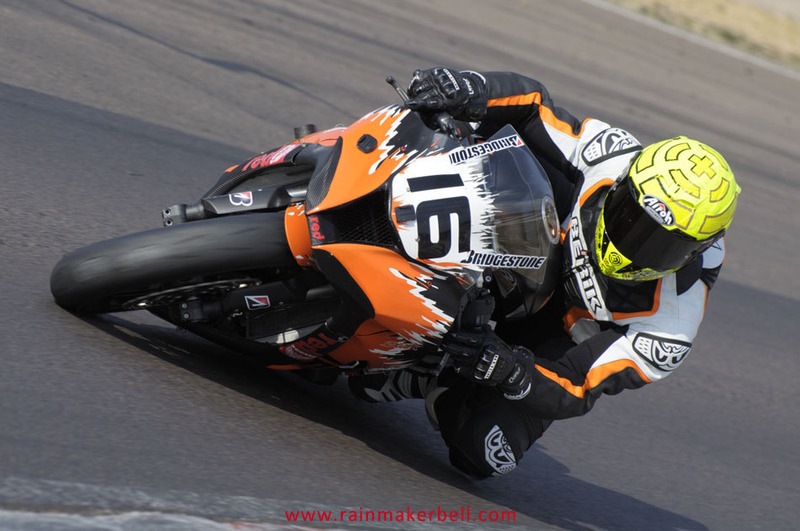 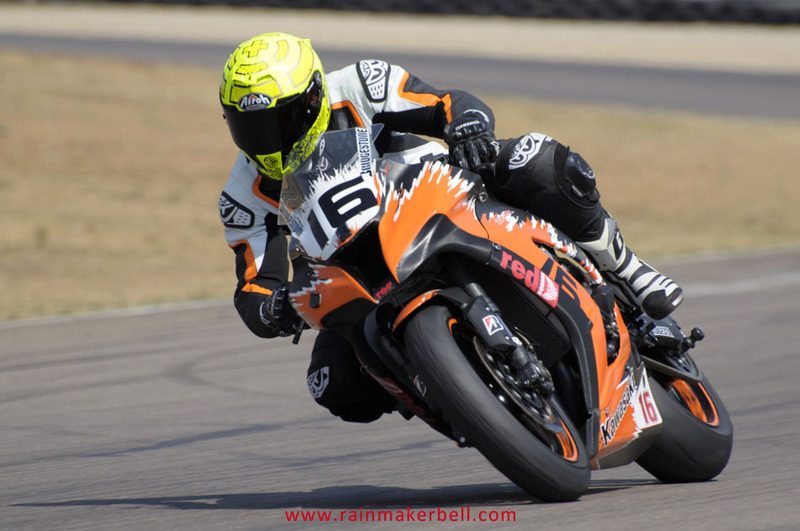 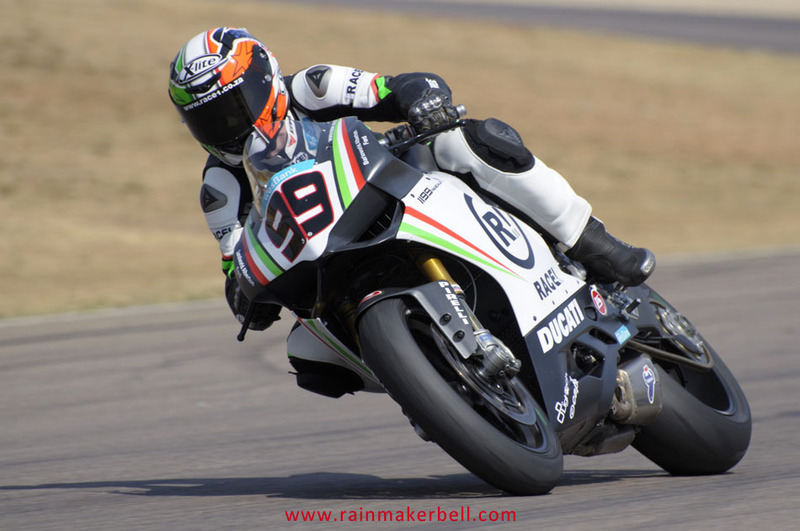 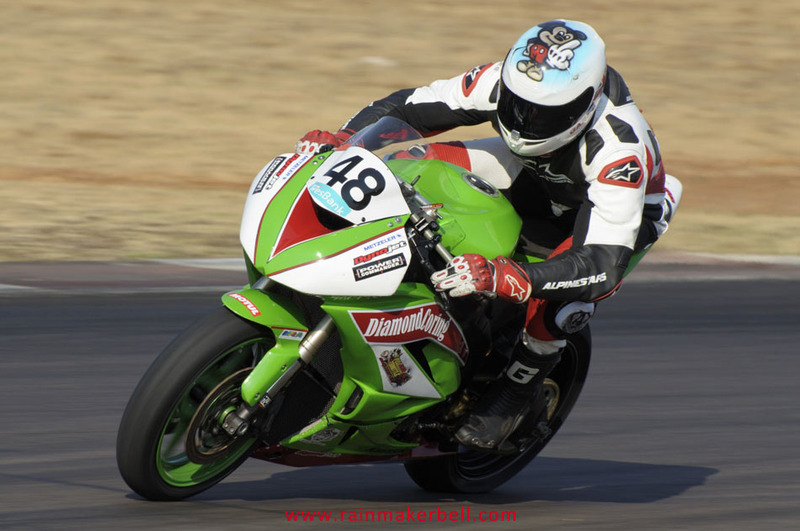 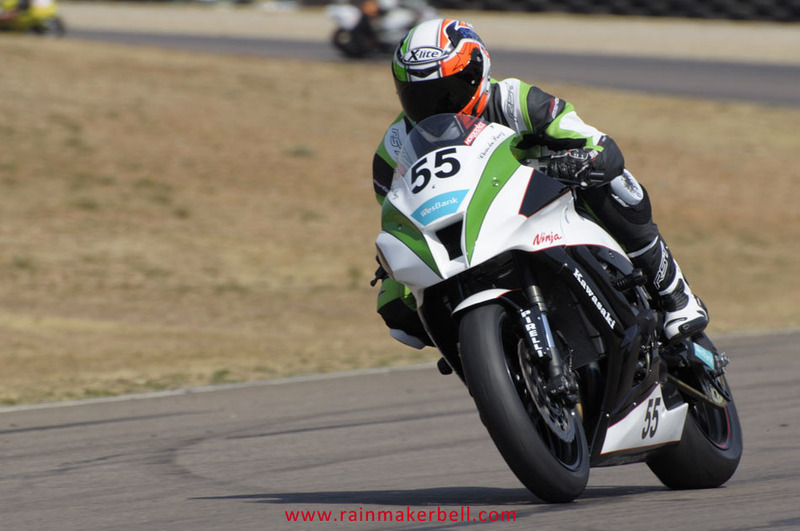 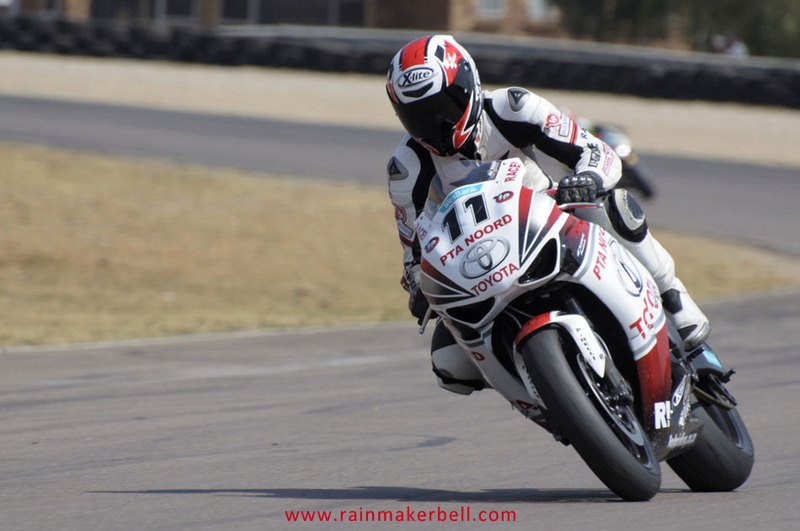 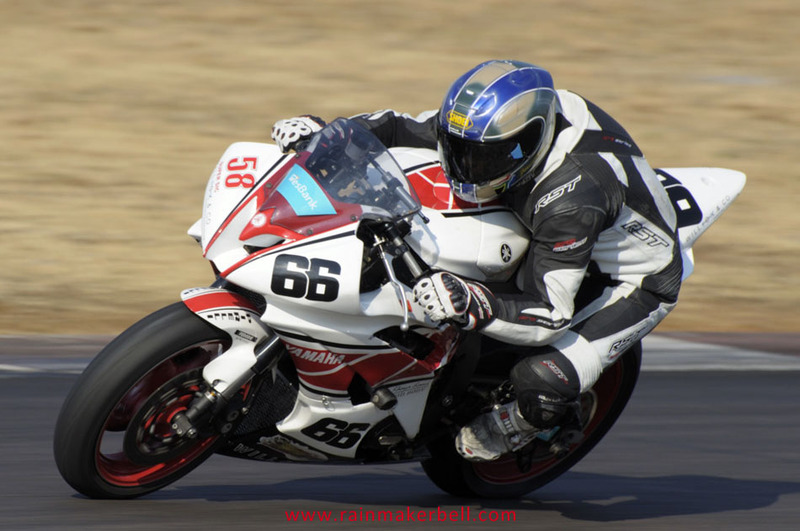 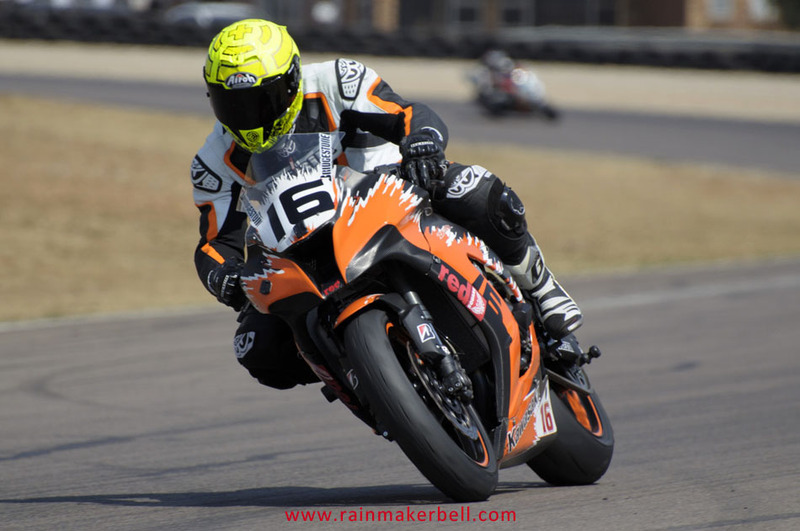 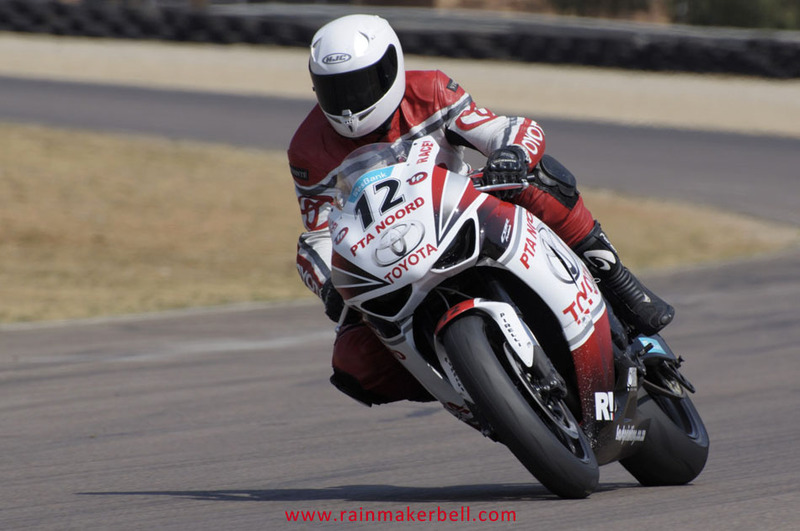 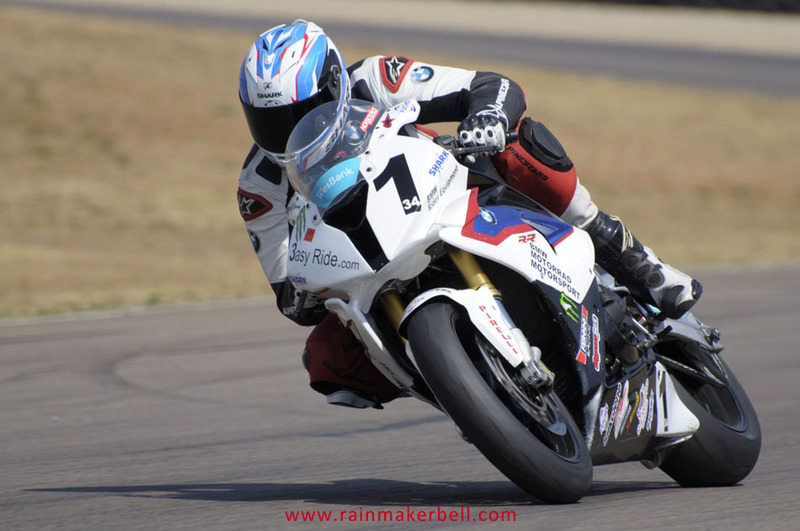 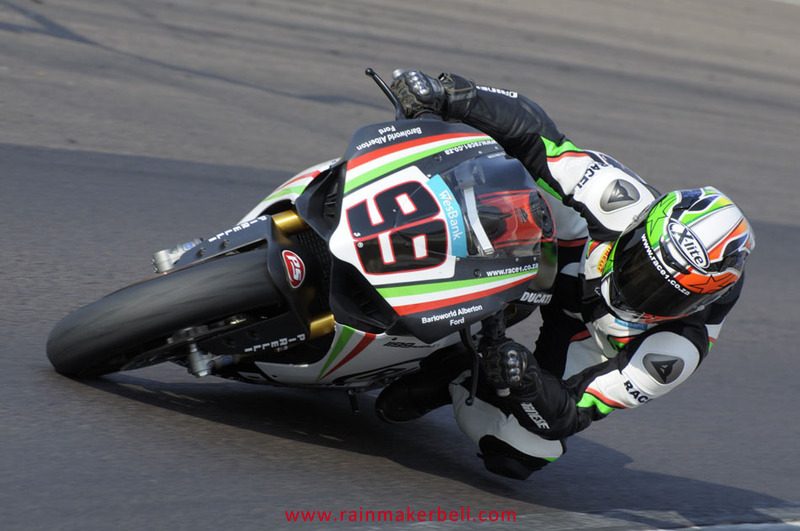 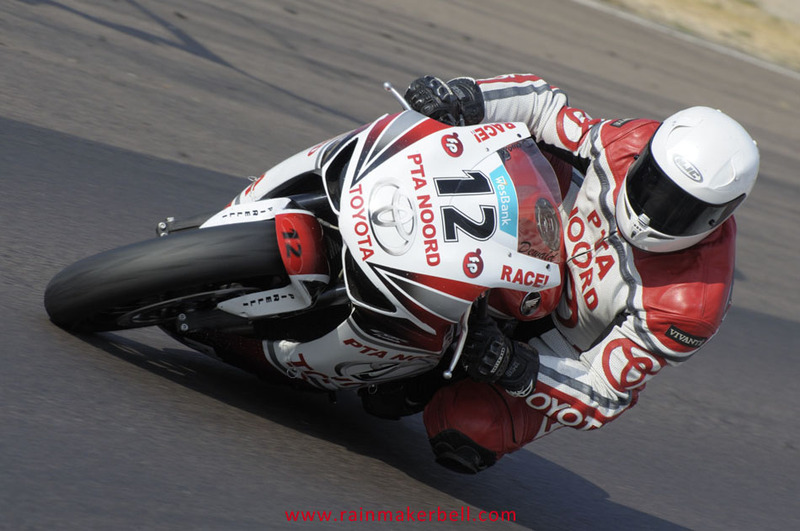 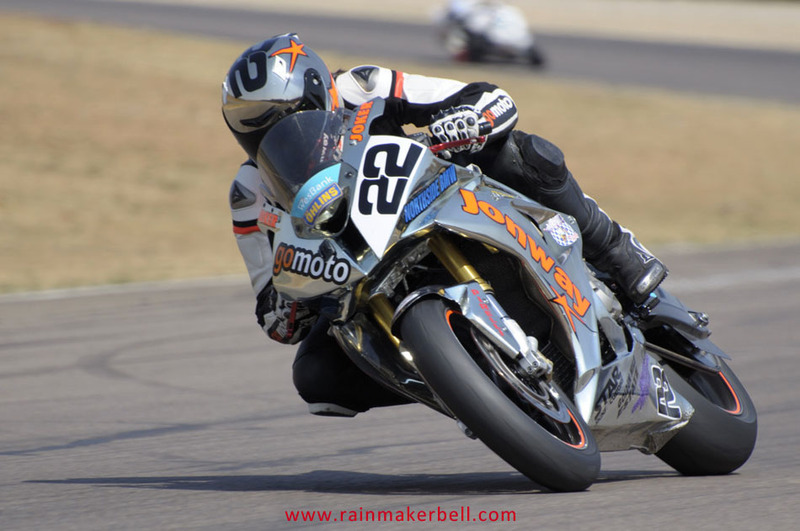 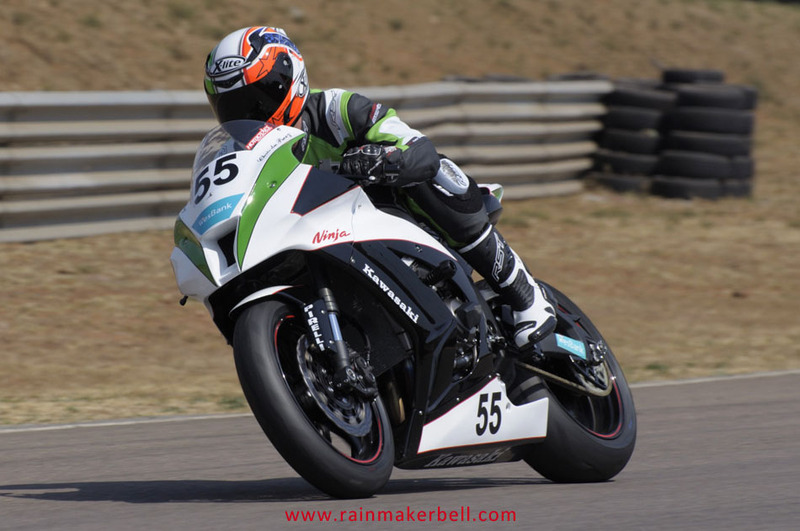 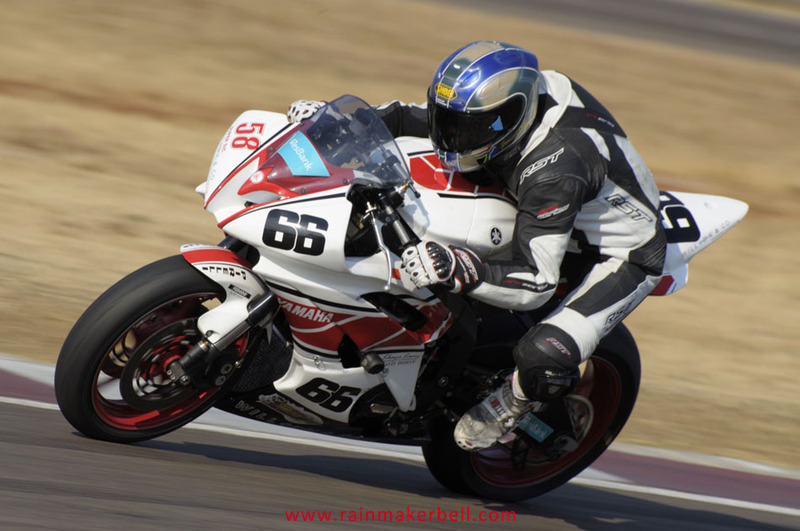 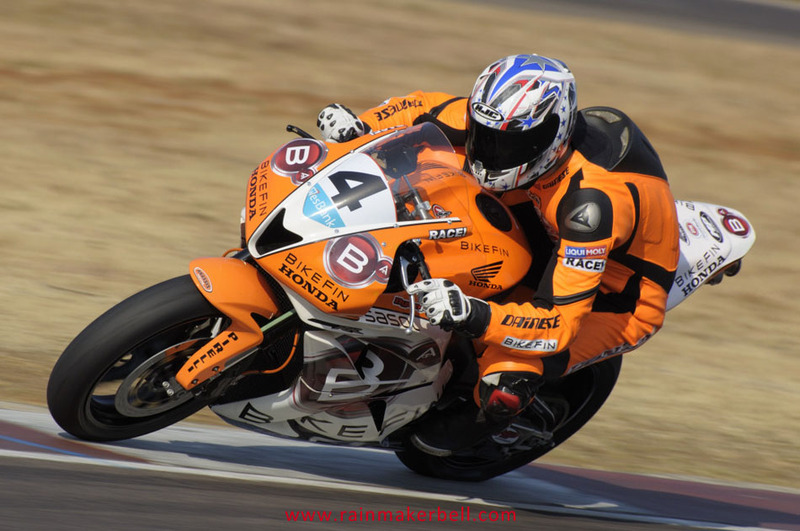 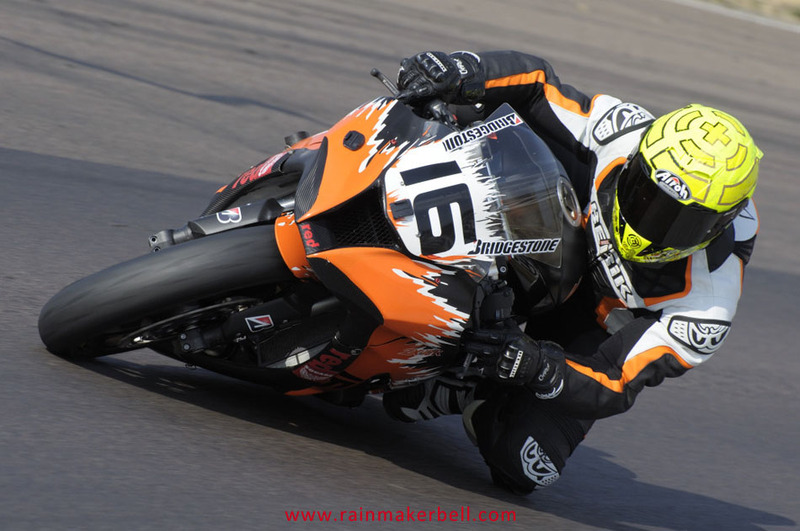 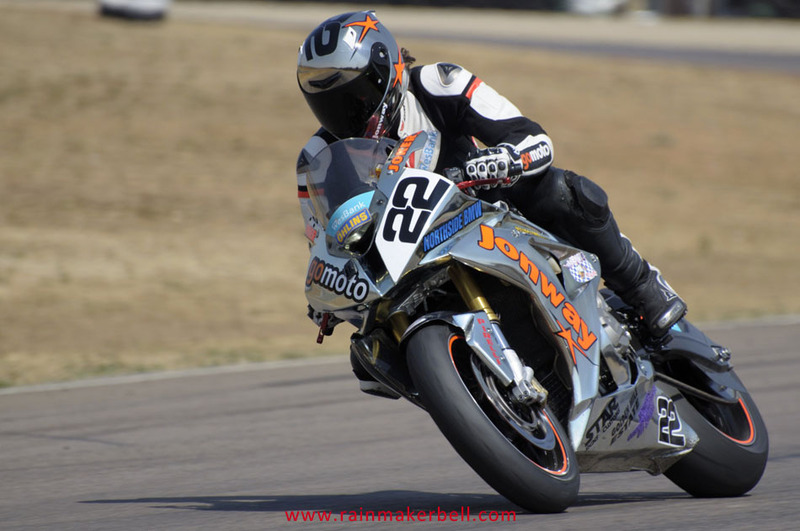 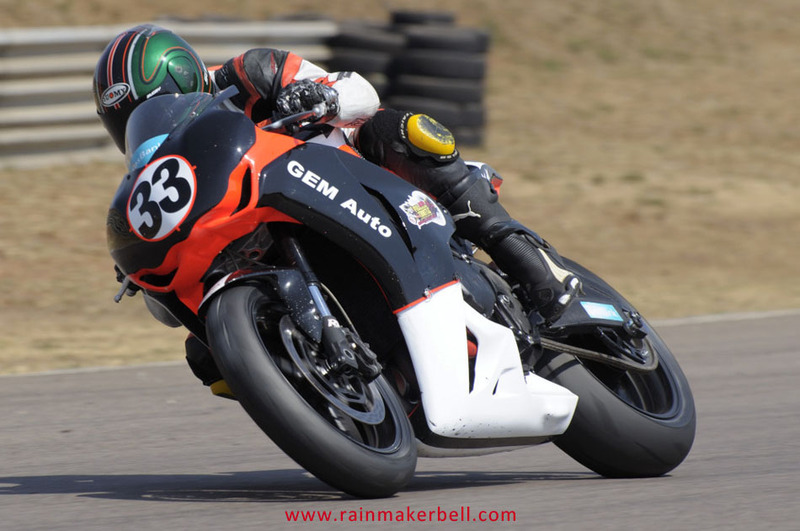 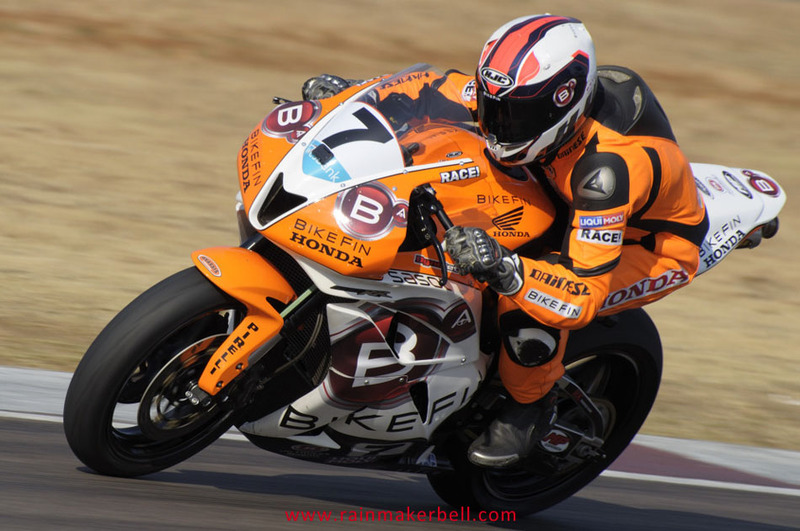 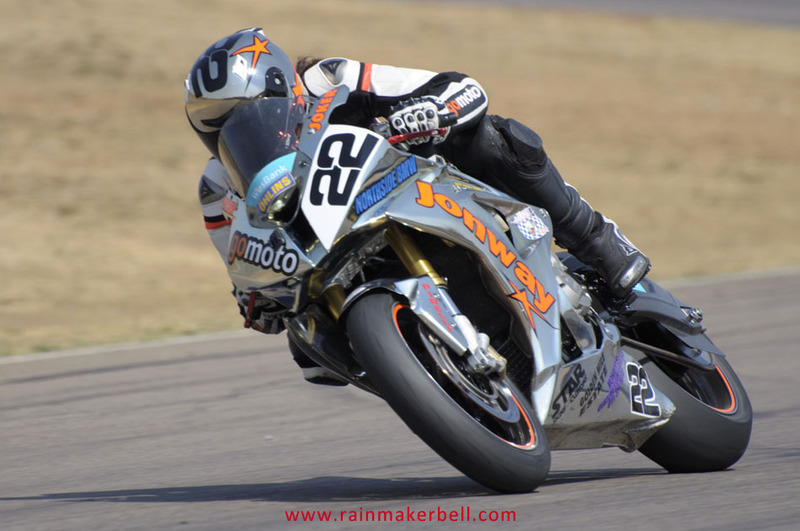 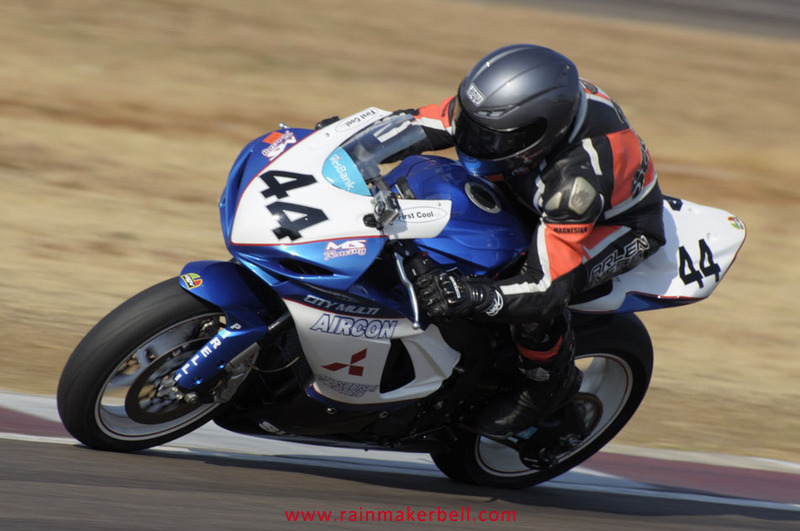 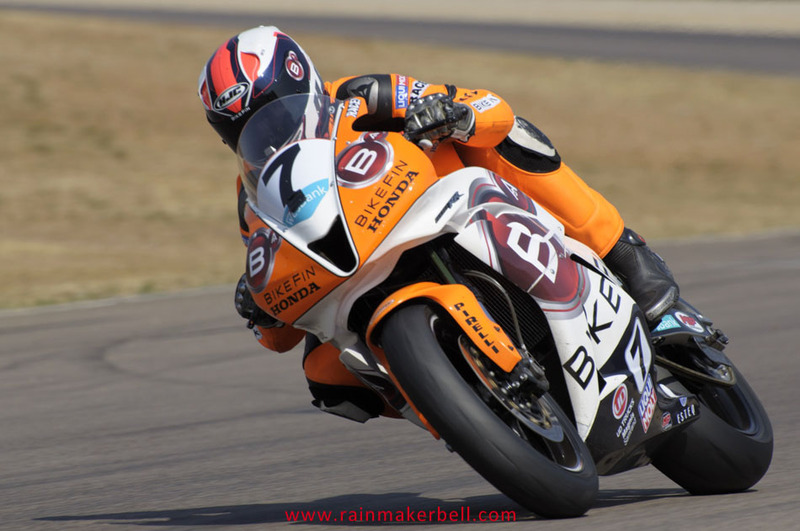 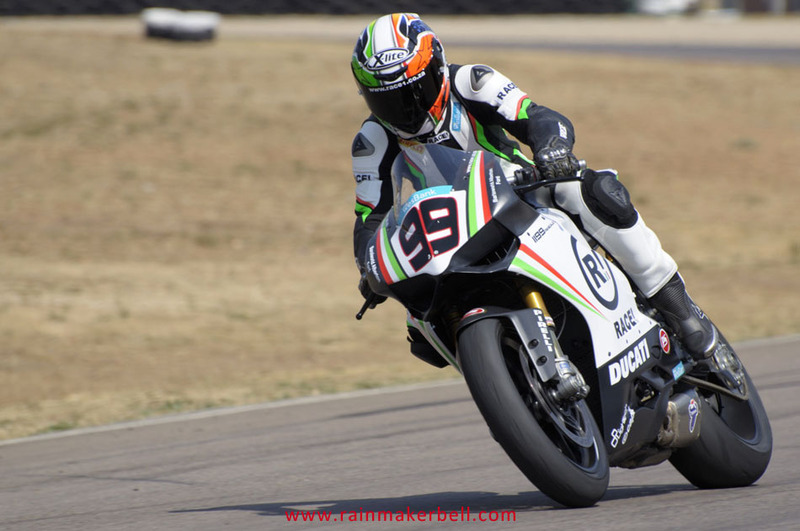 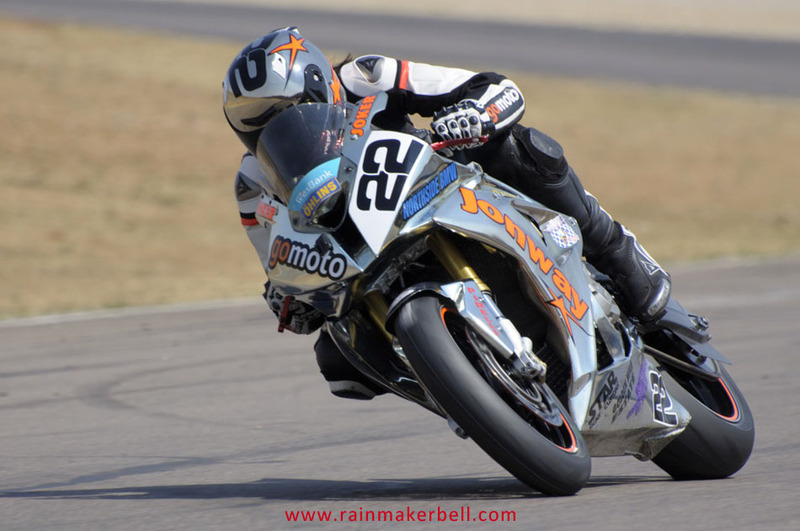 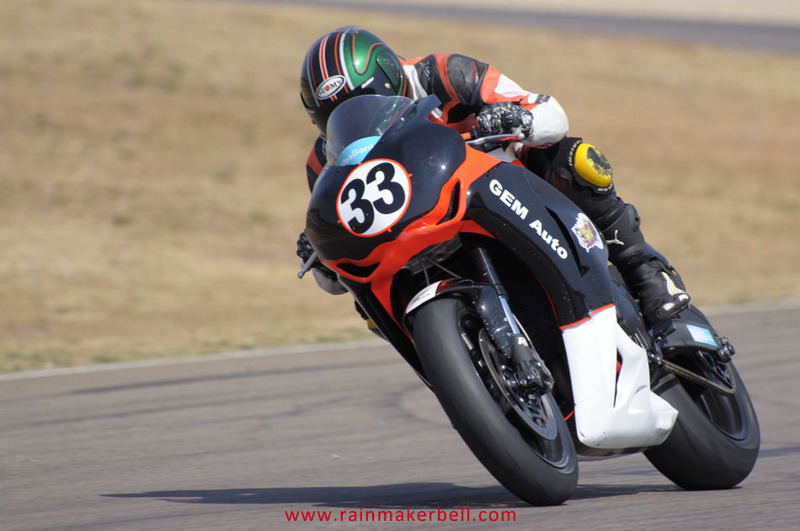 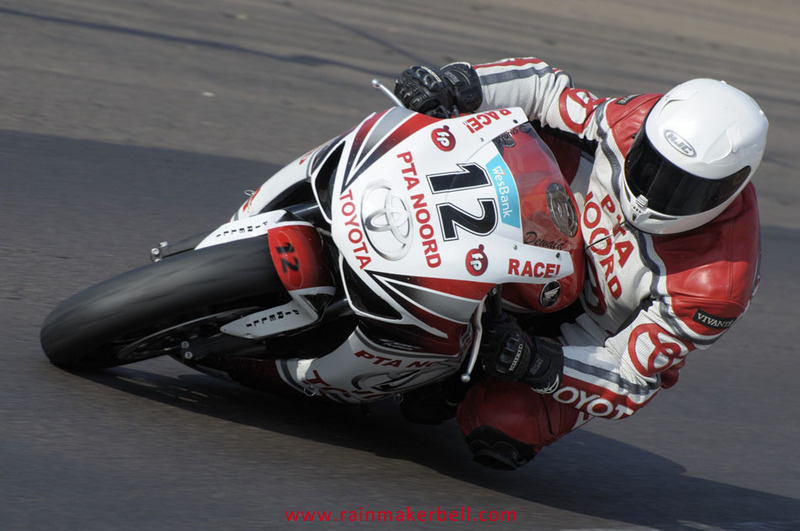 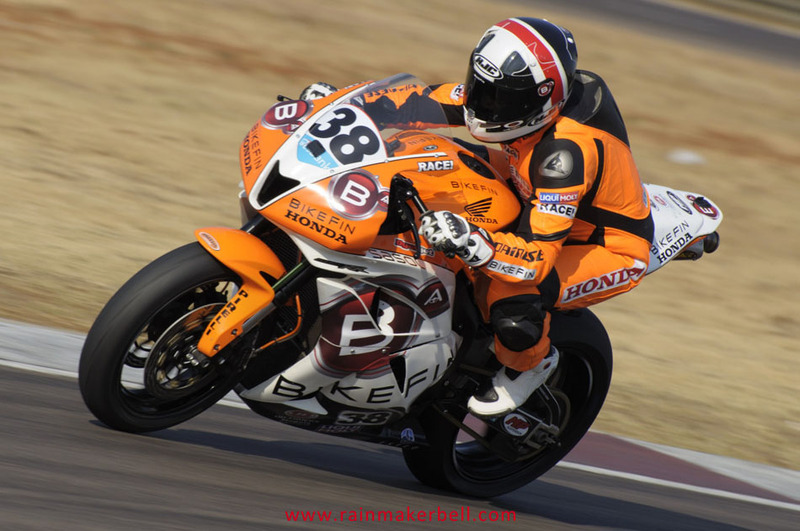 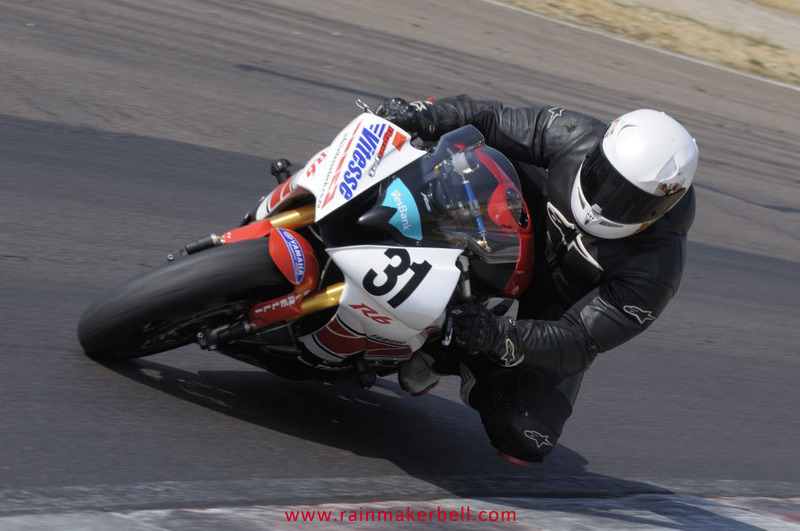 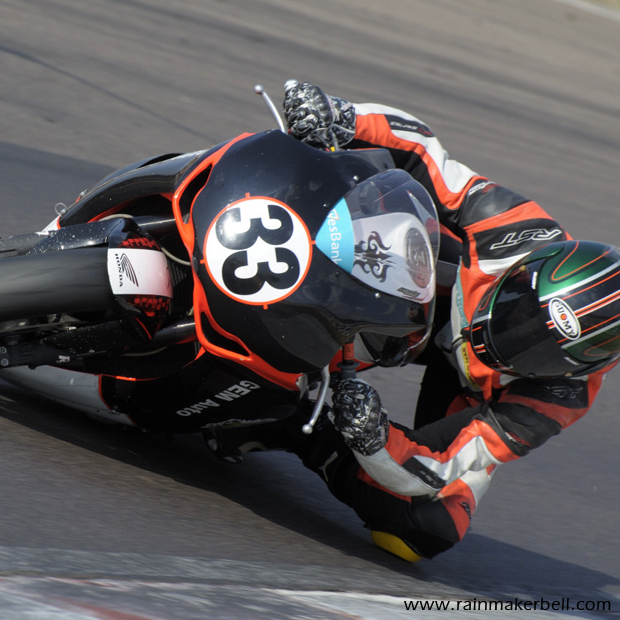 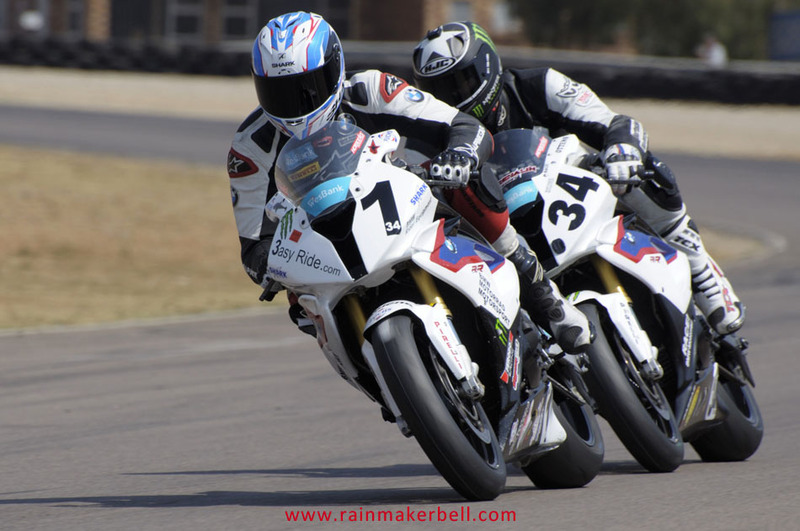 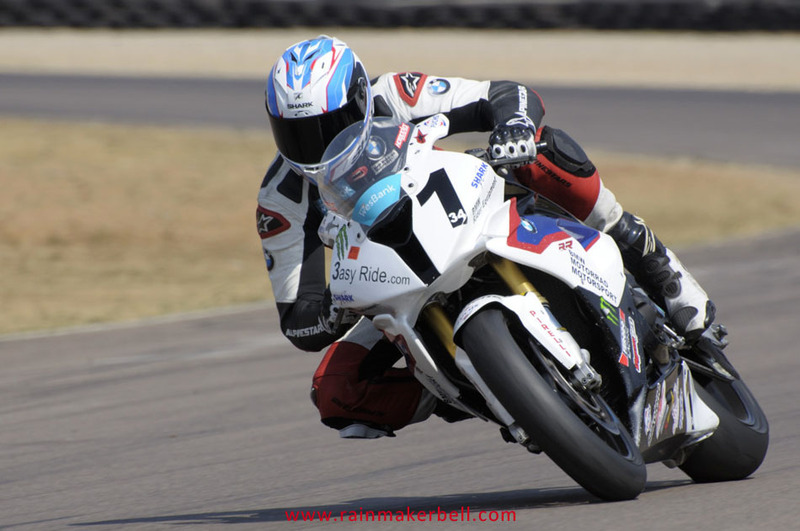 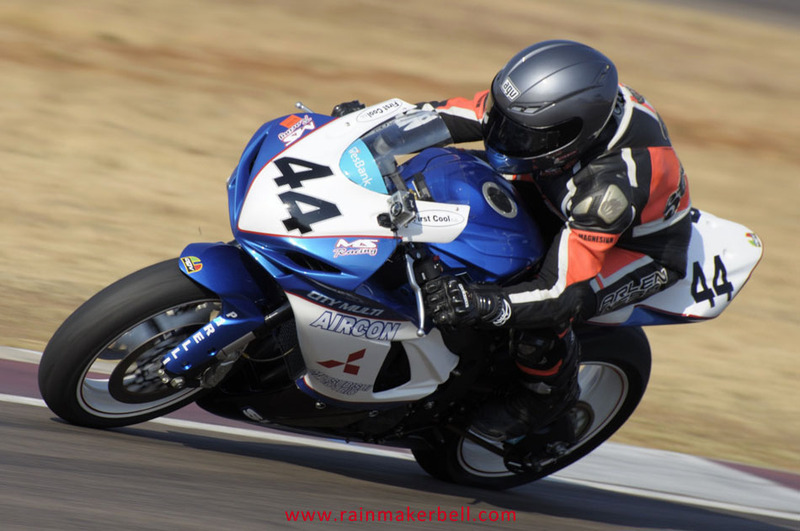 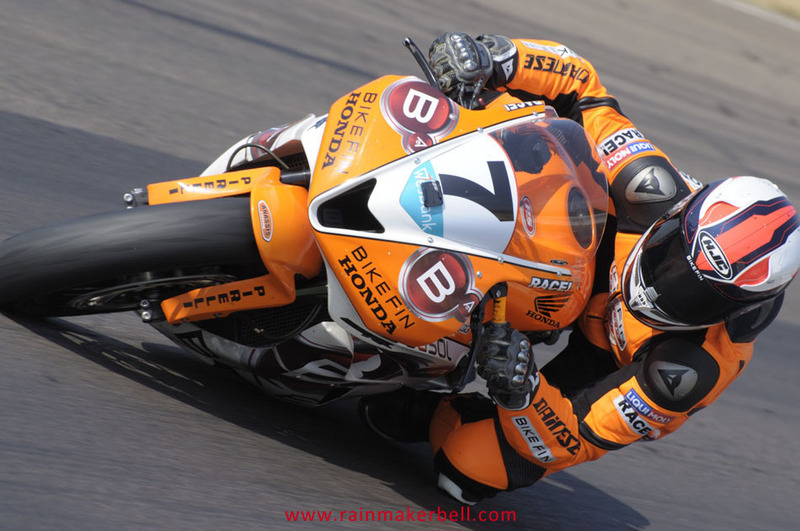 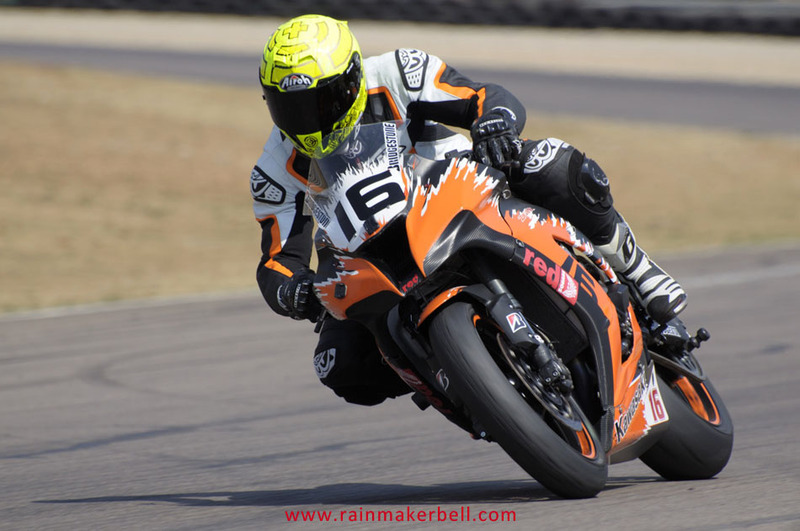 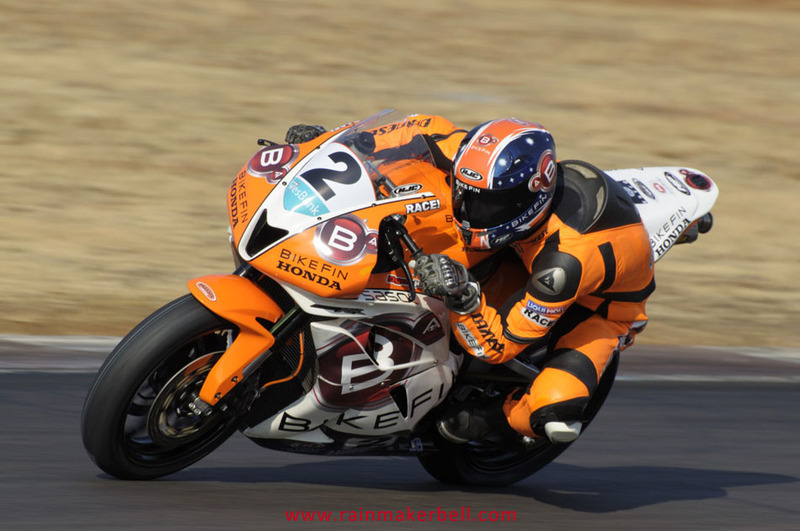 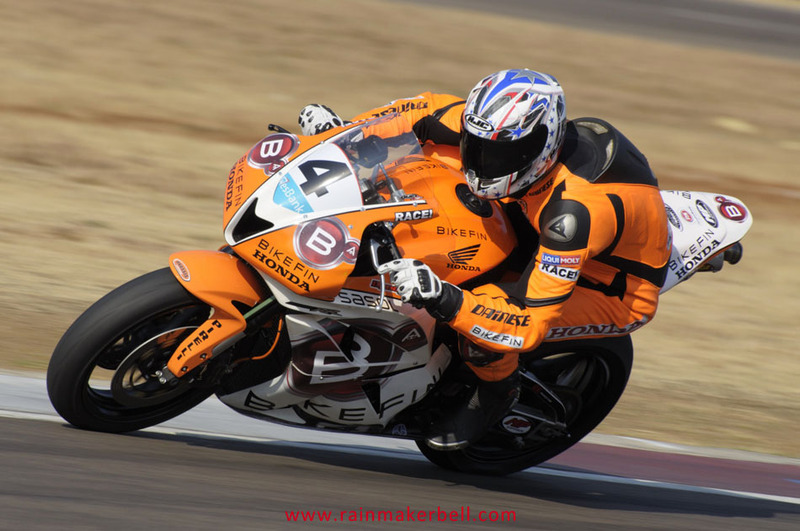 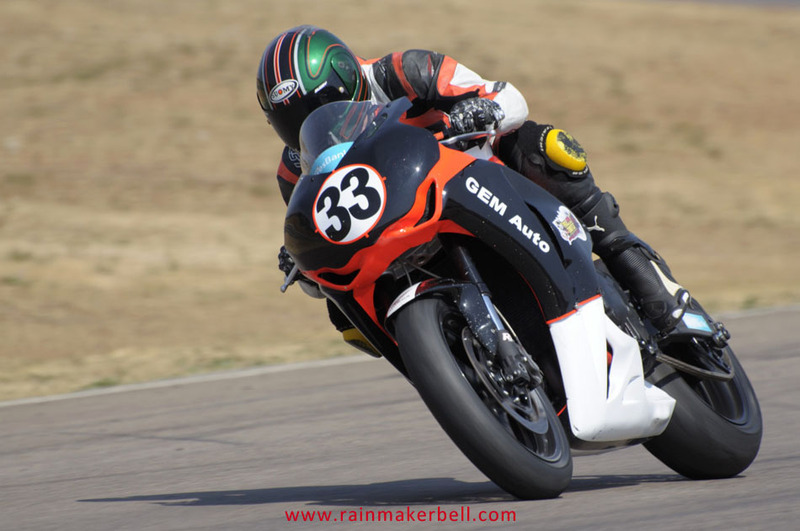 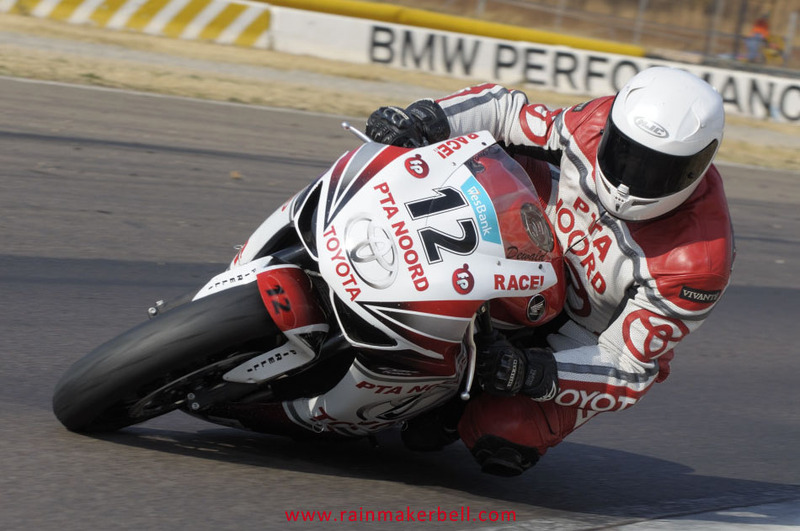 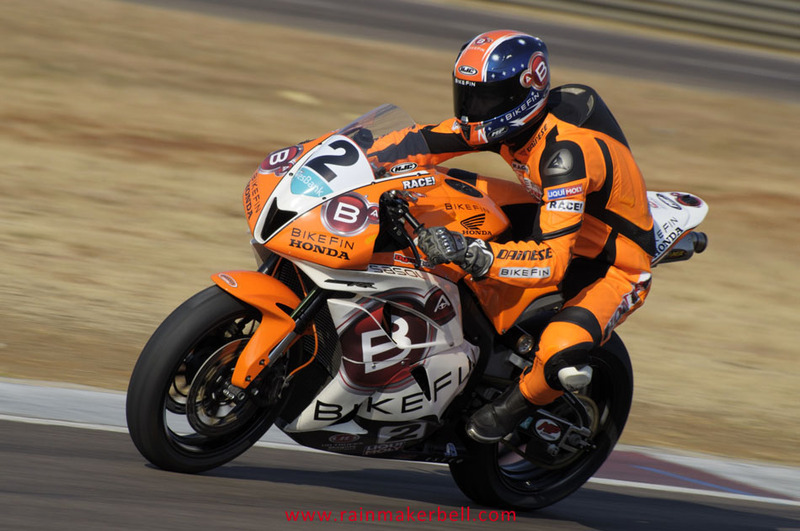 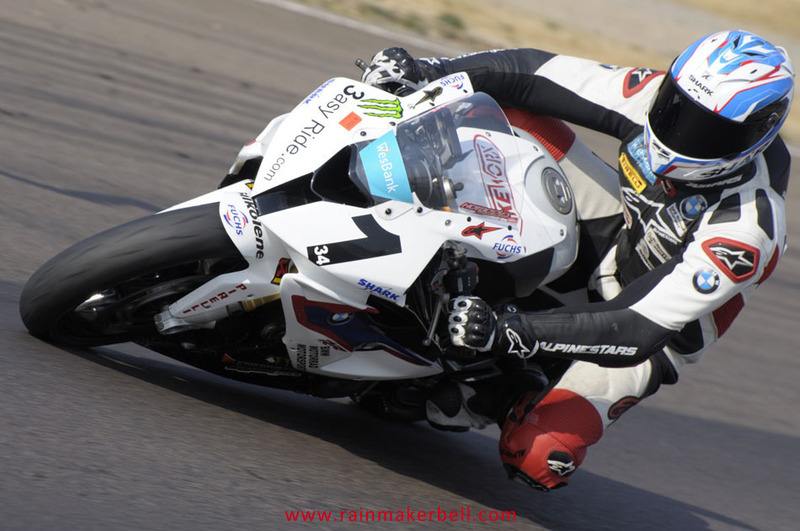 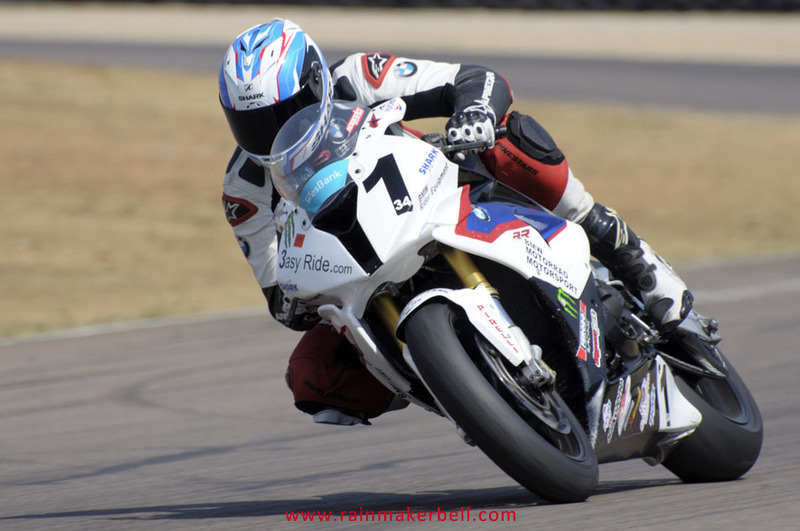 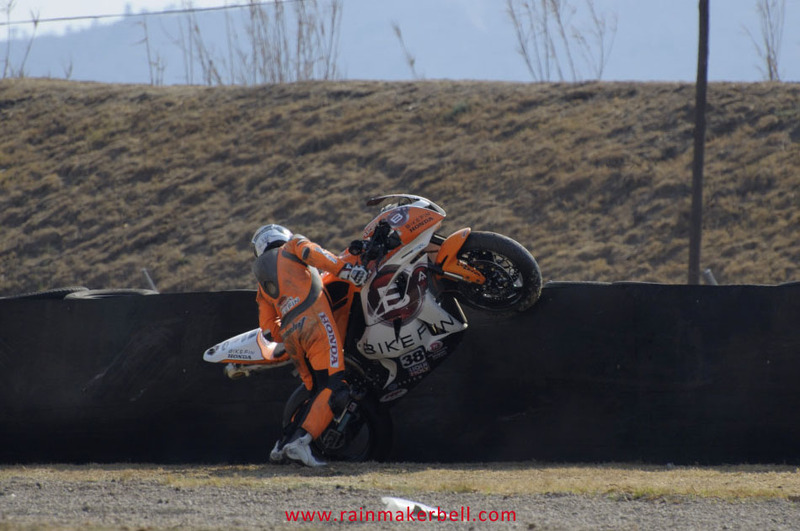 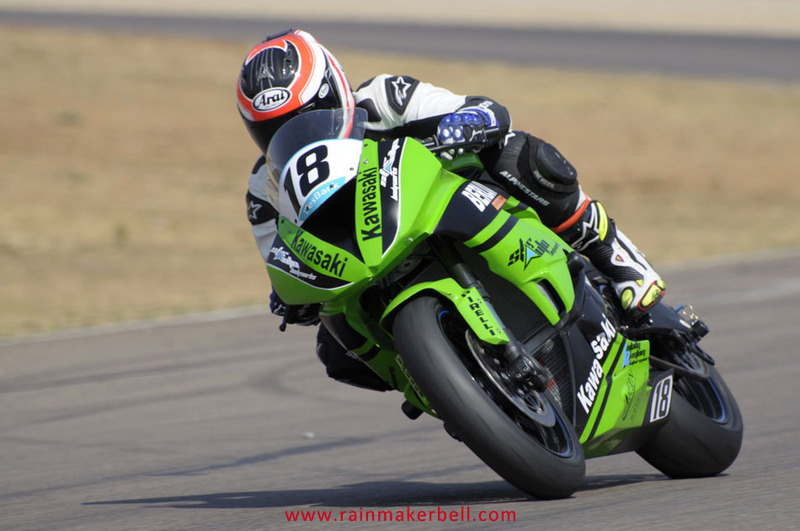 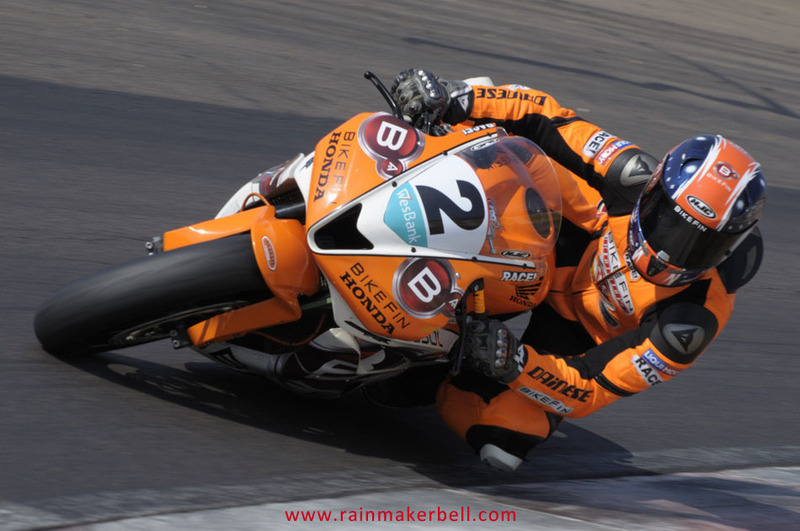 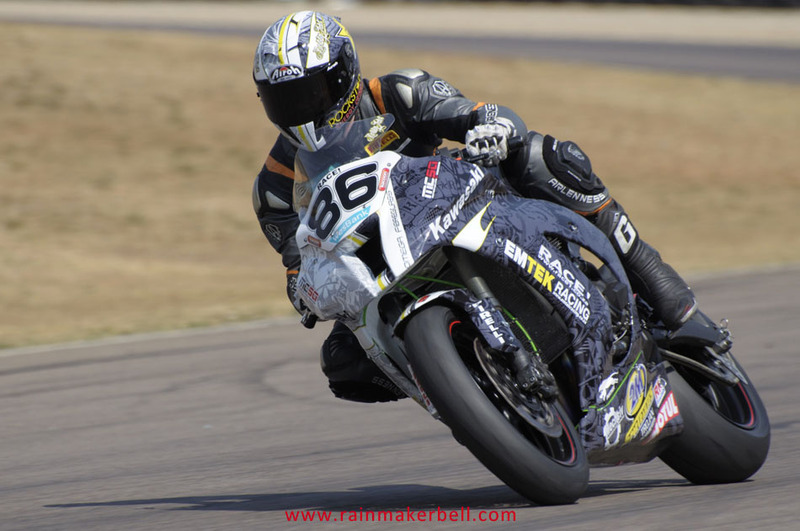 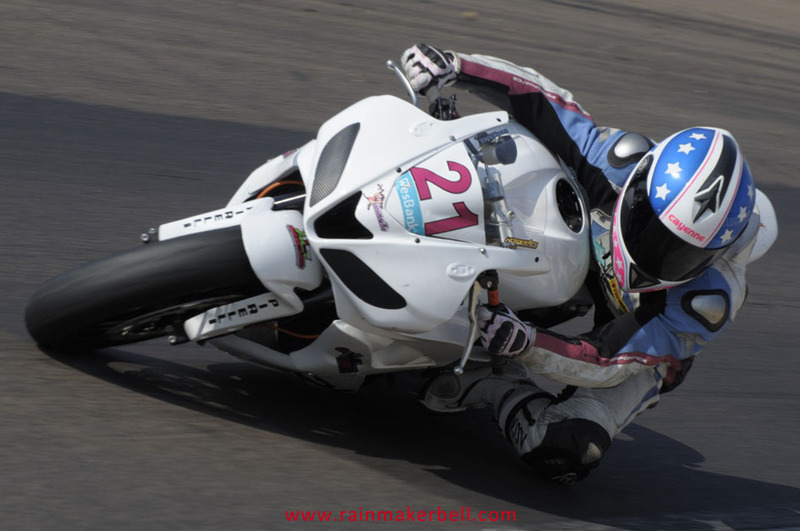 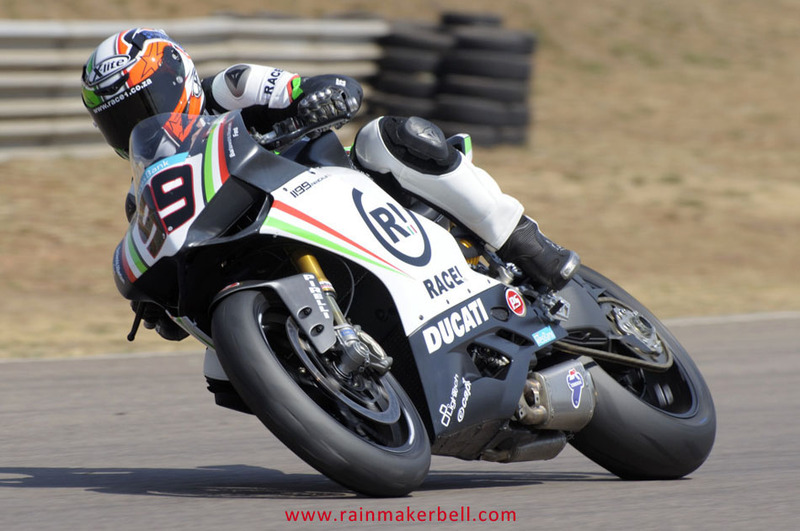 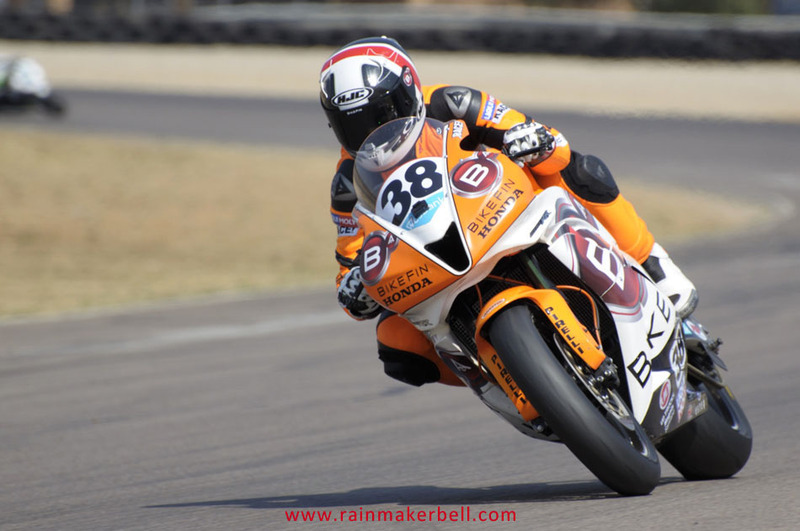 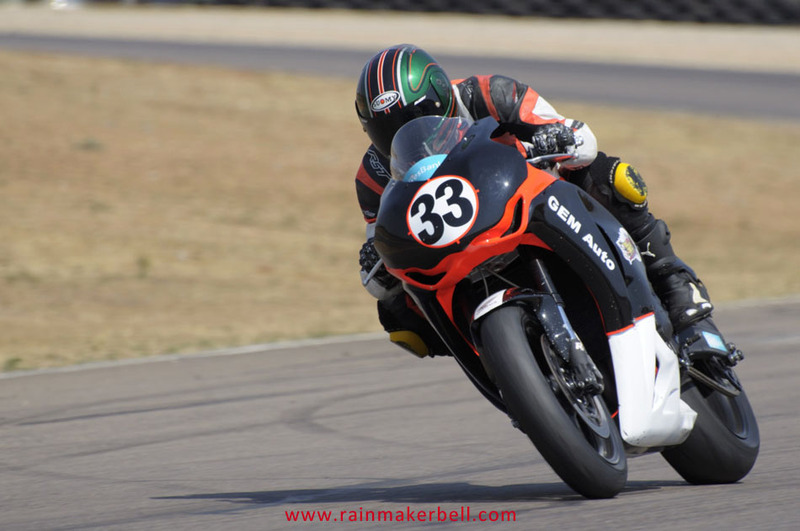 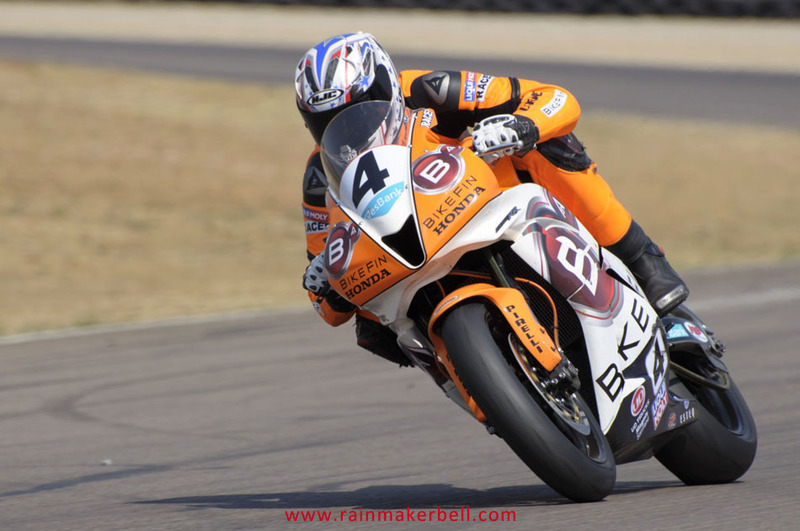 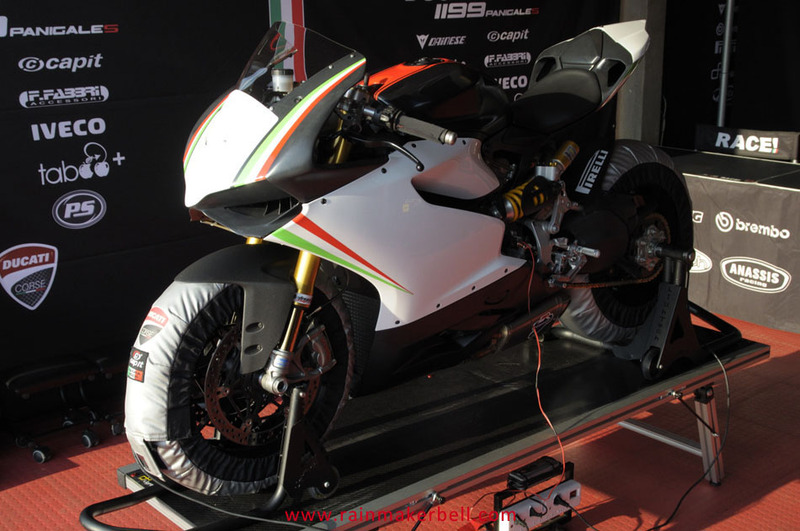 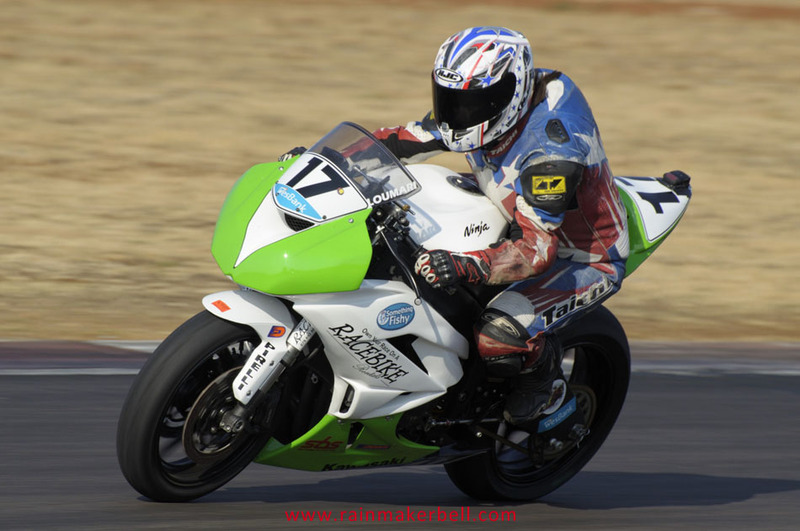 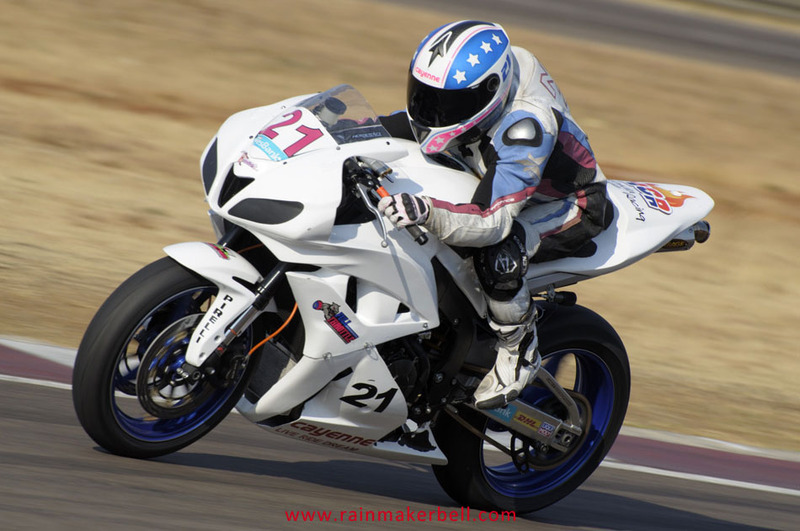 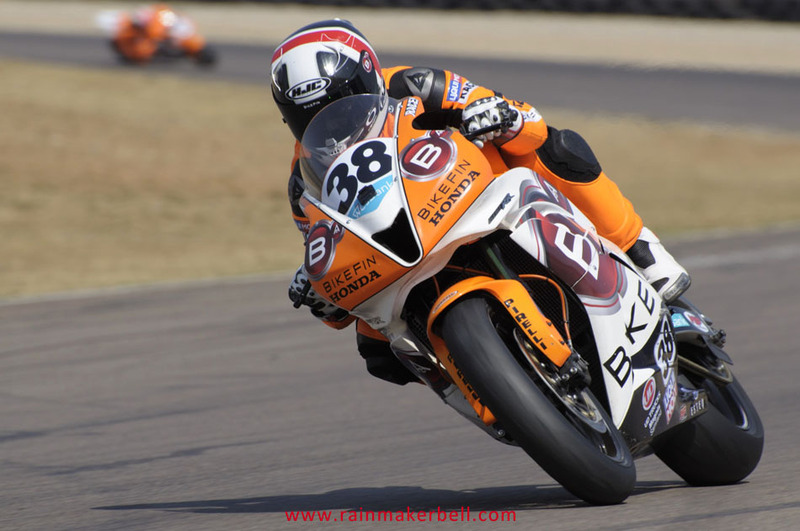 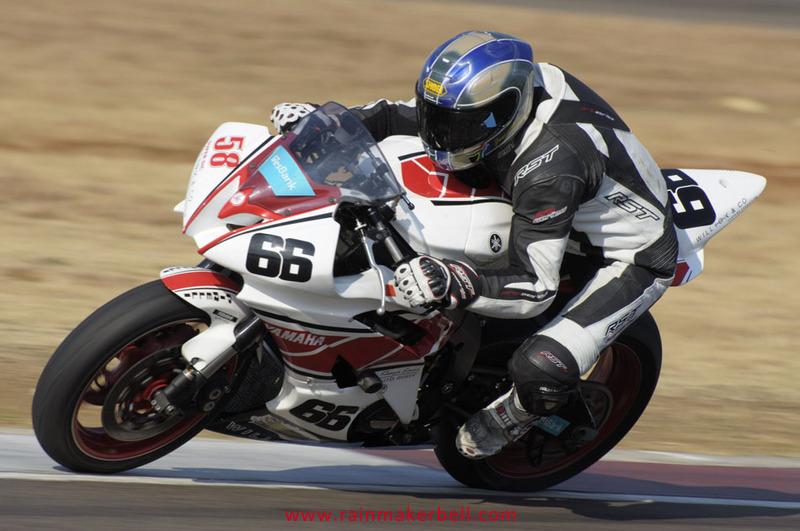 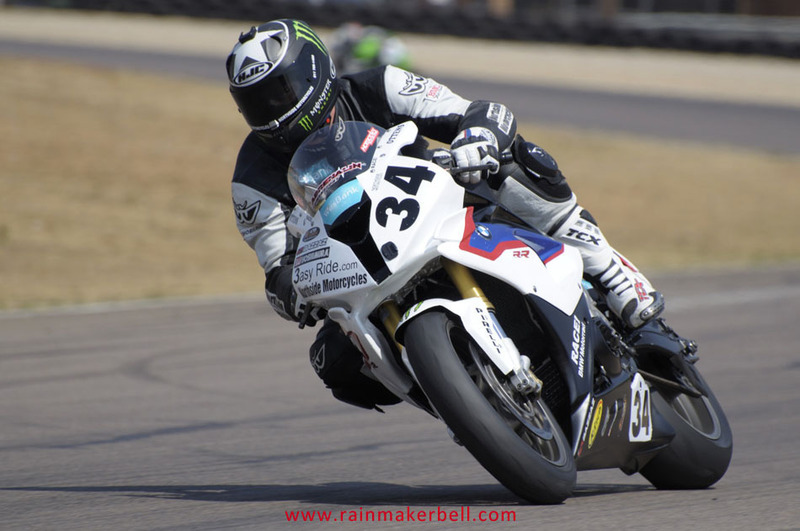 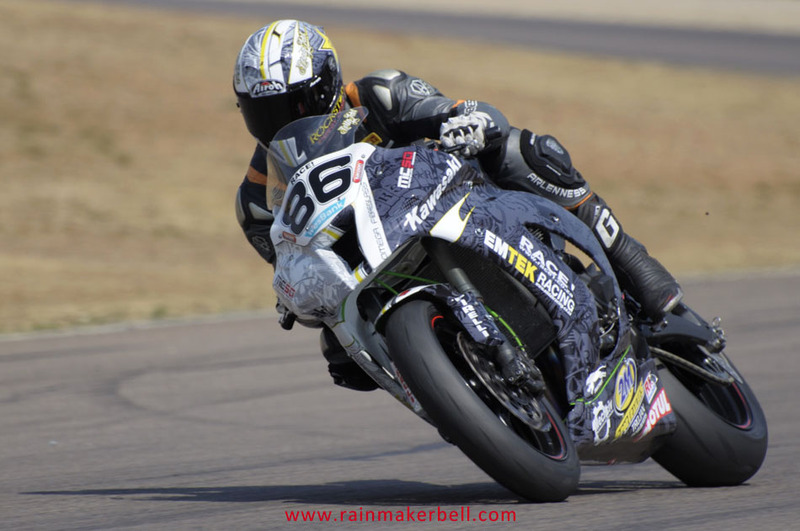 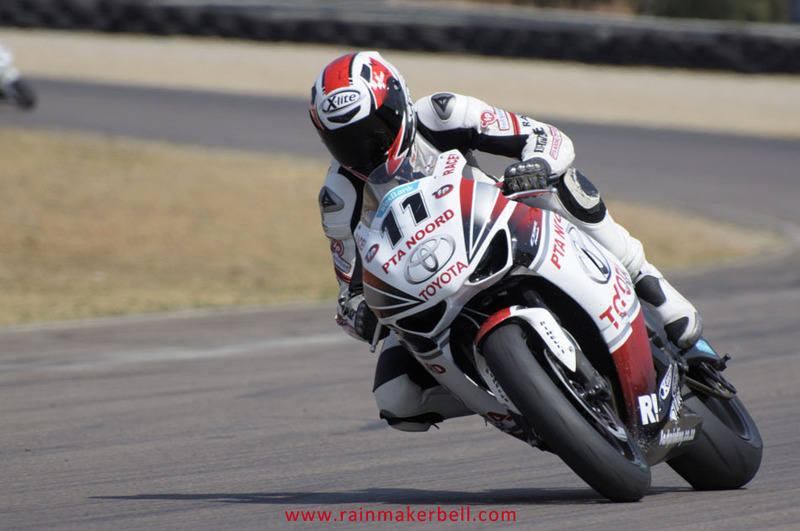 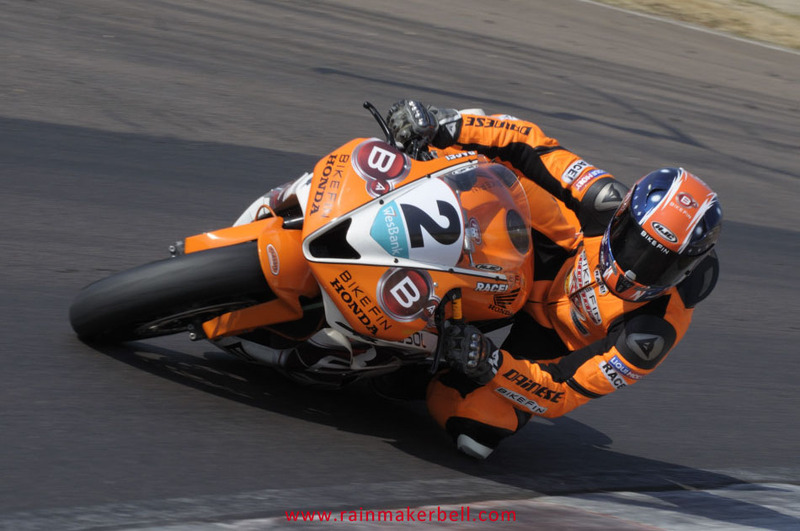 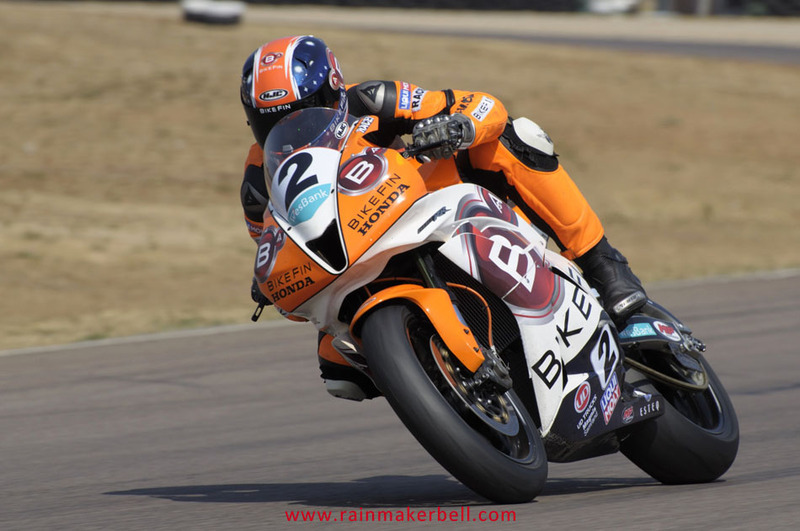 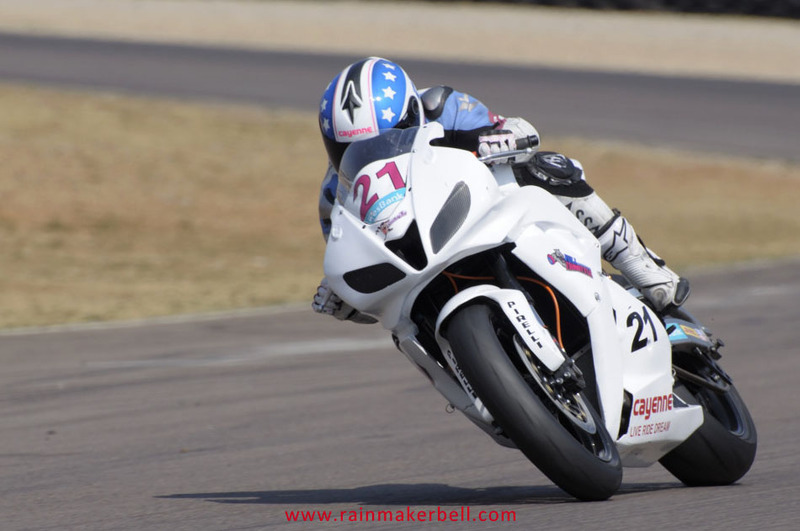 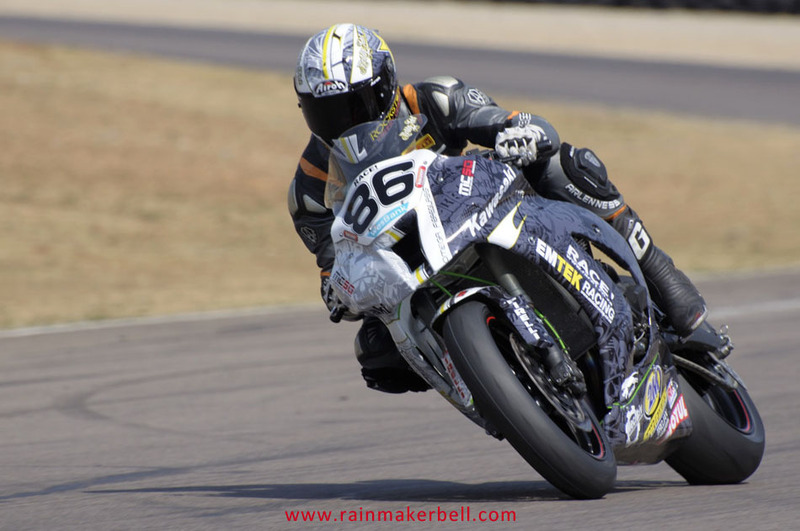 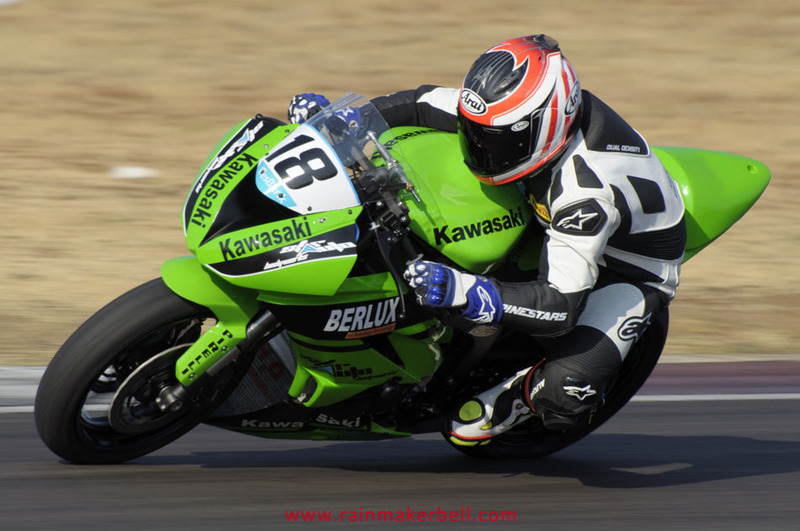 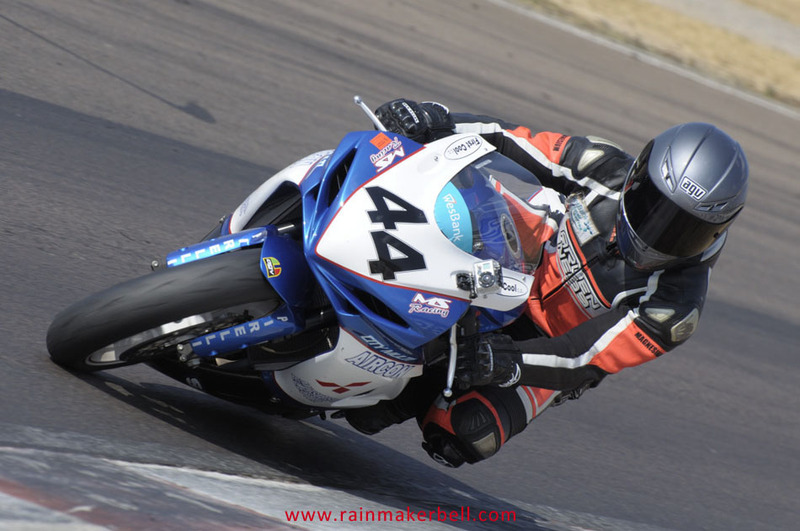 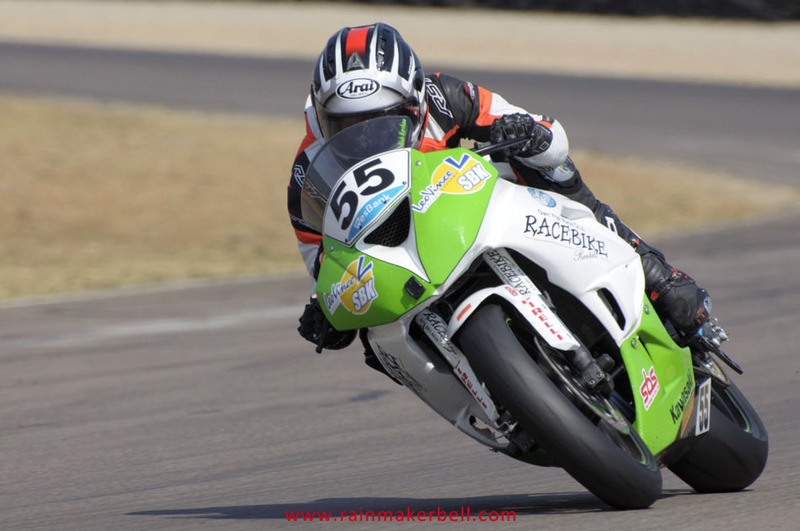 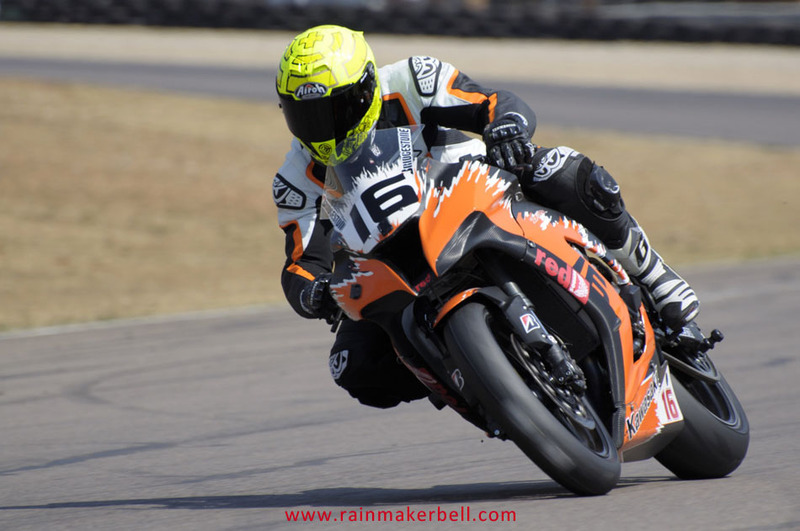 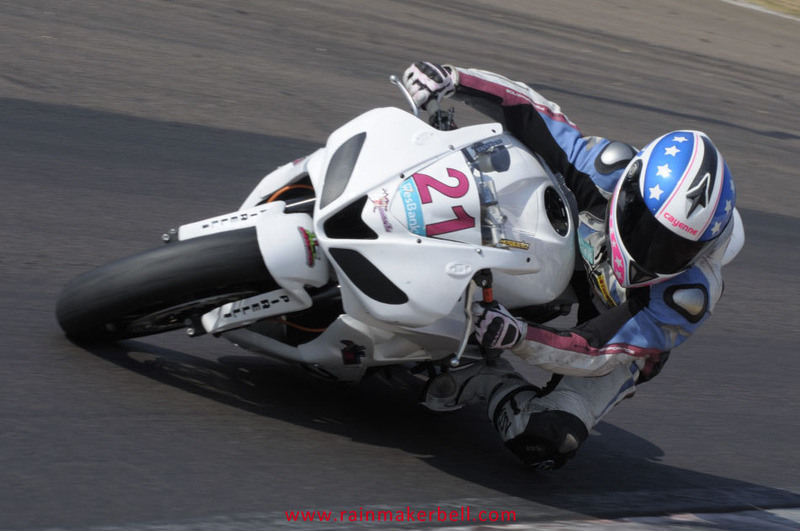 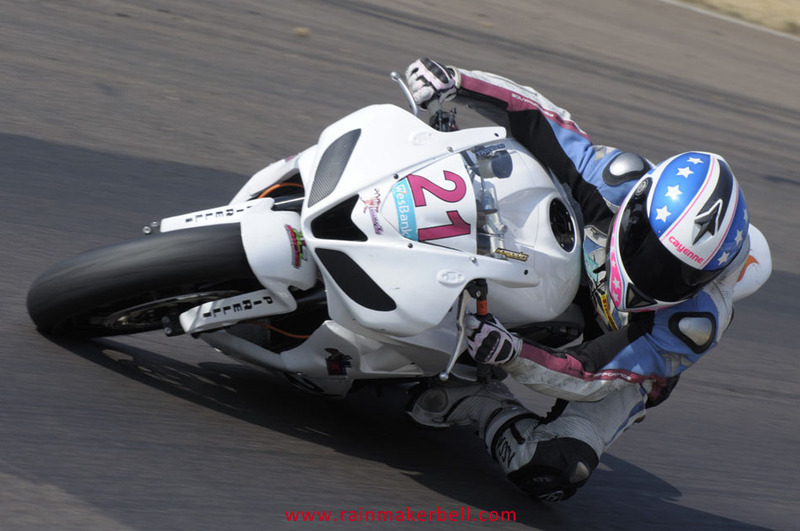 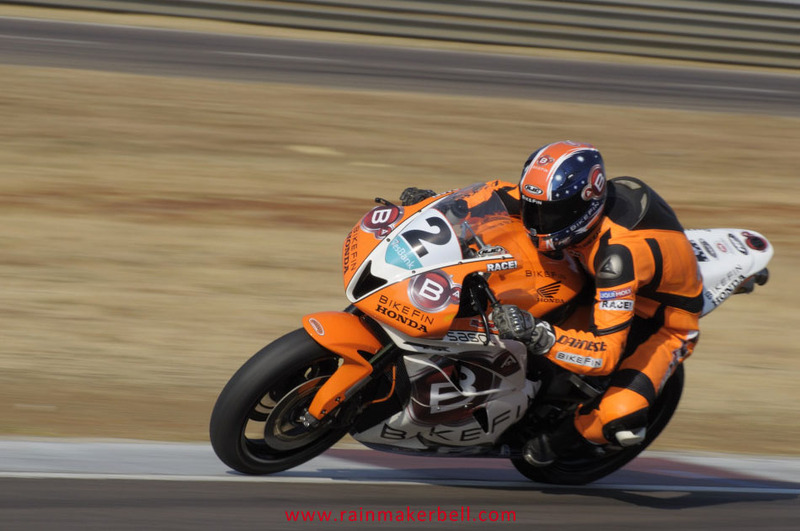 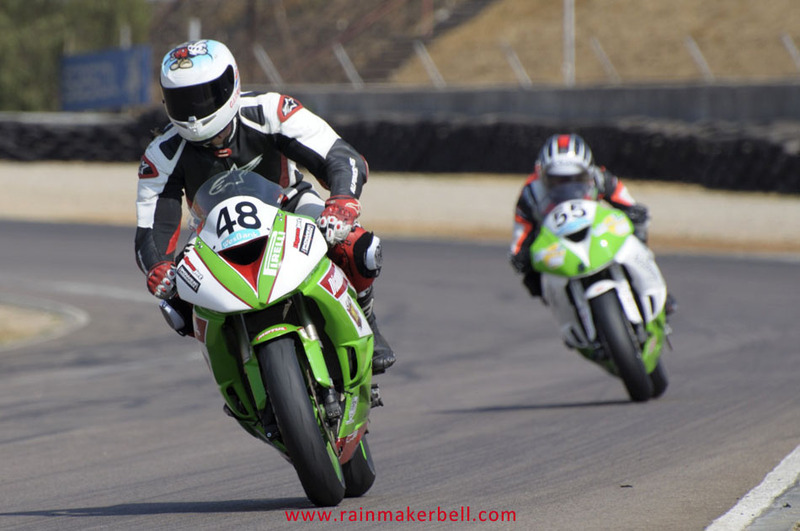 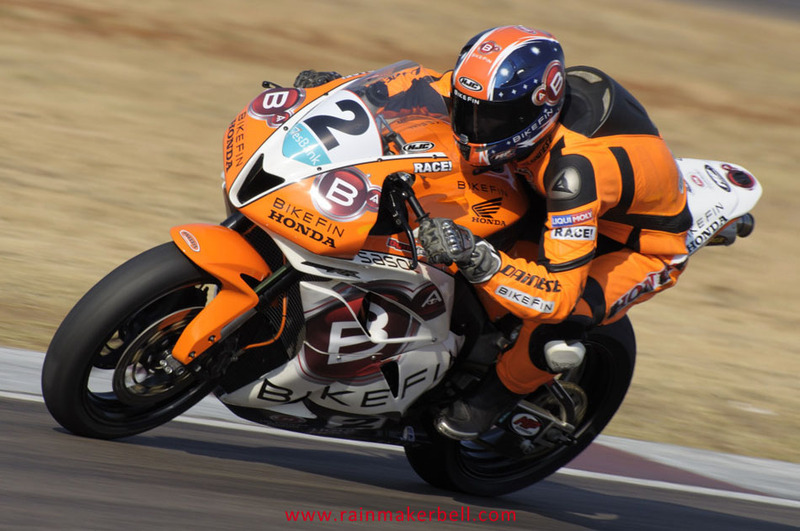 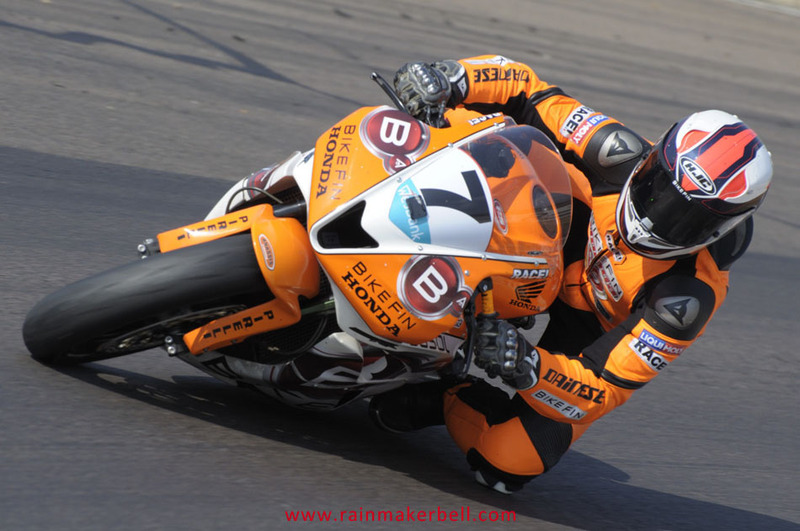 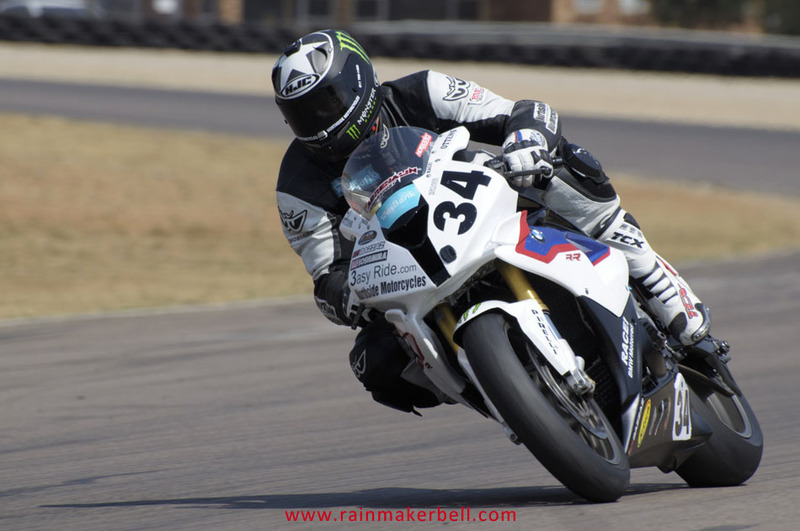 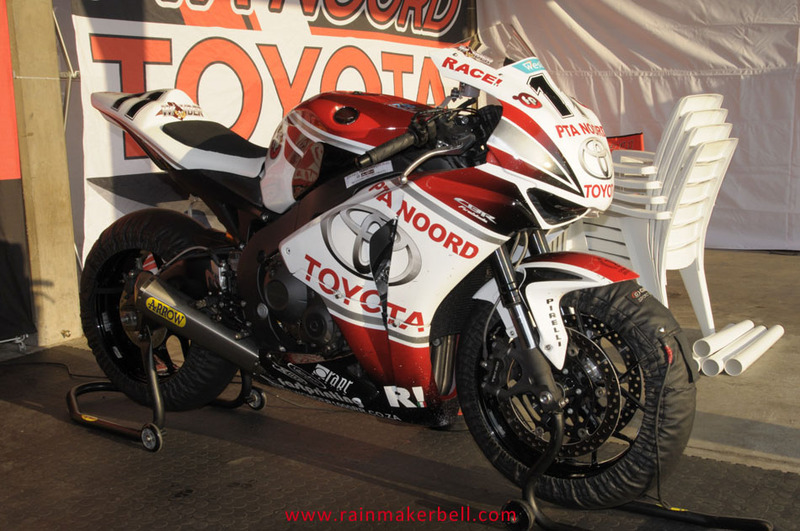 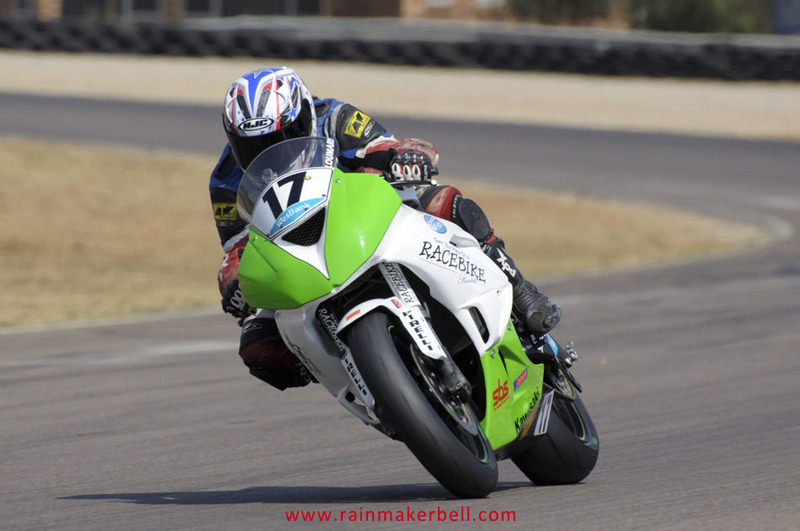 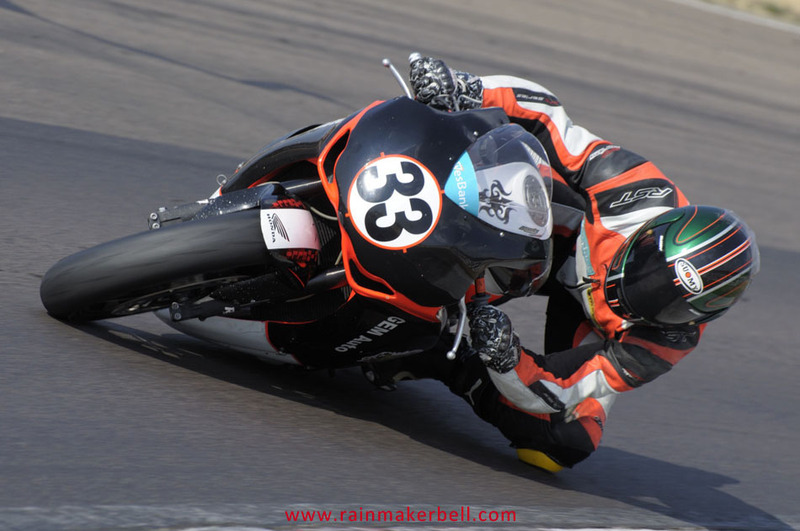 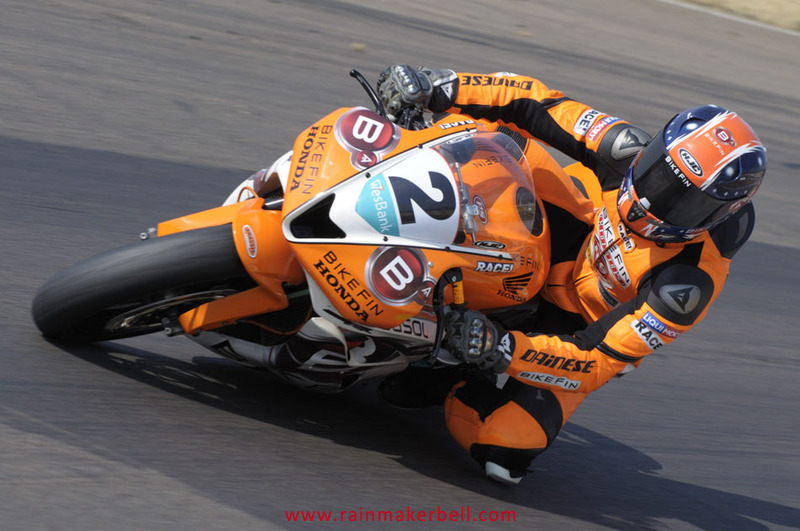 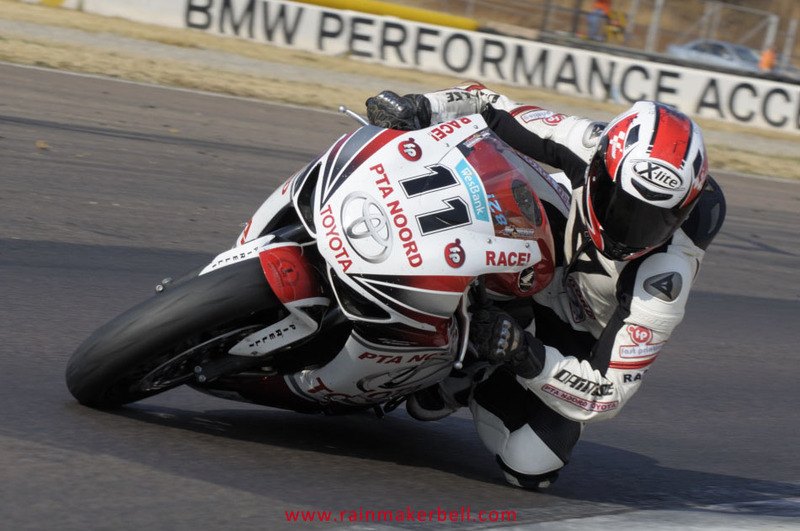 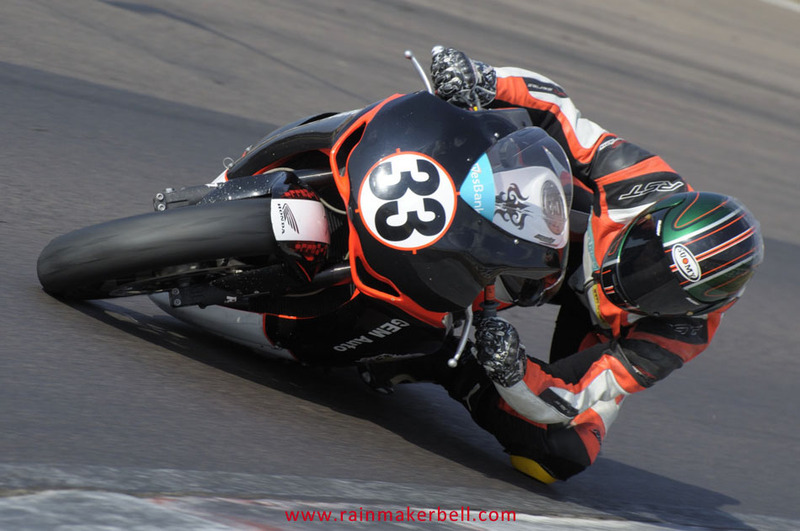 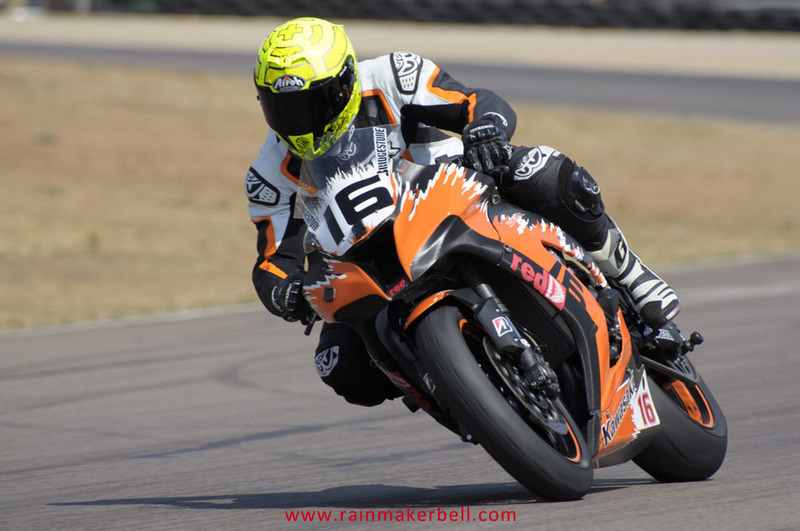 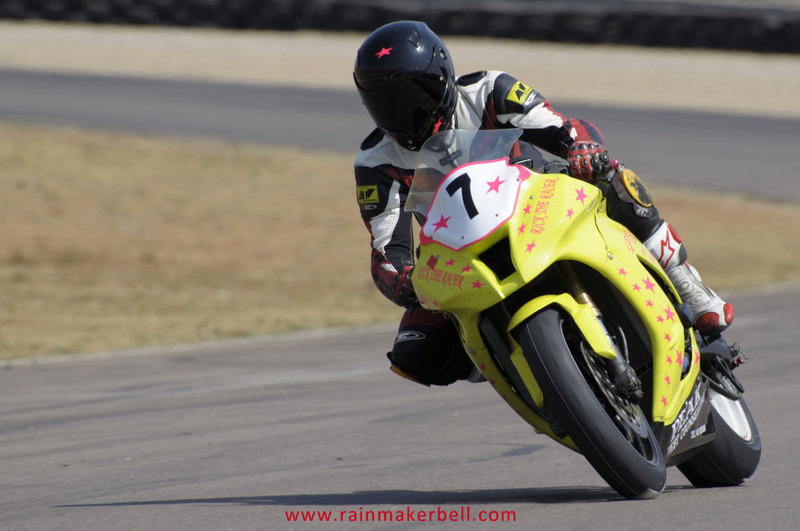 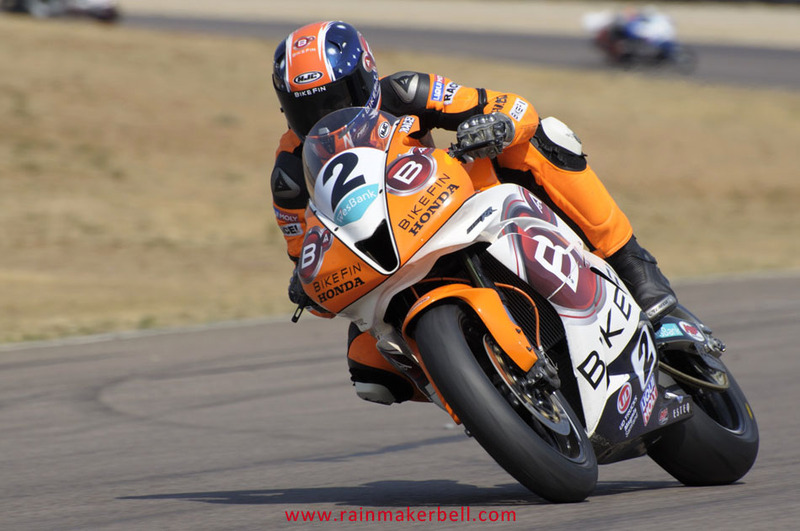 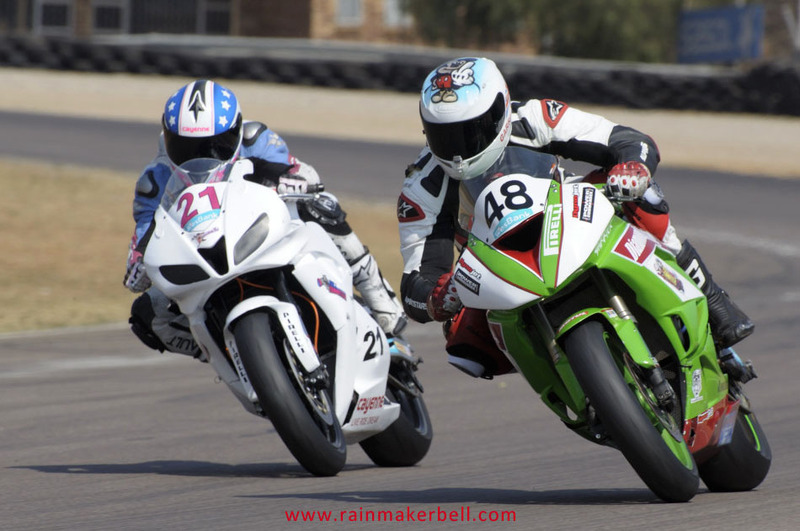 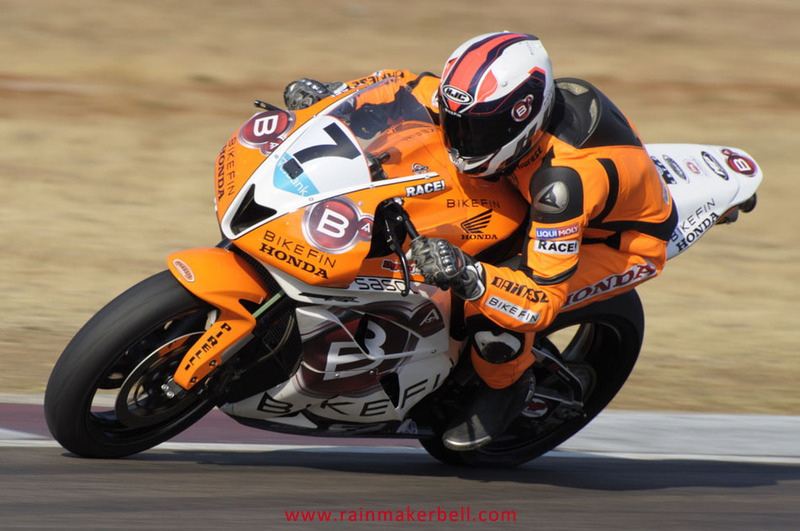 Motorcycle racing in South Africa is not that intense and humongous like in many overseas countries, but it remains almost every local scoot jockey’s aspiration and dream to one day make it onto some of the most famous motorcycle race tracks around the world. 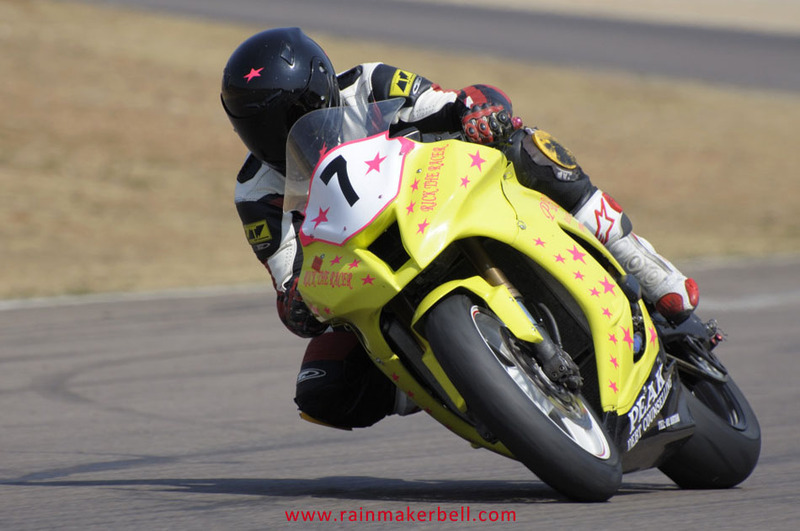 Godspeed! 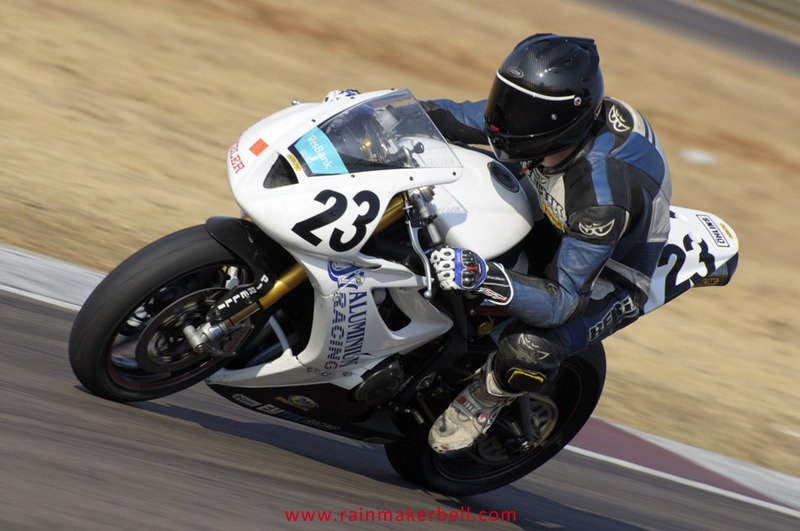 Back to reality. 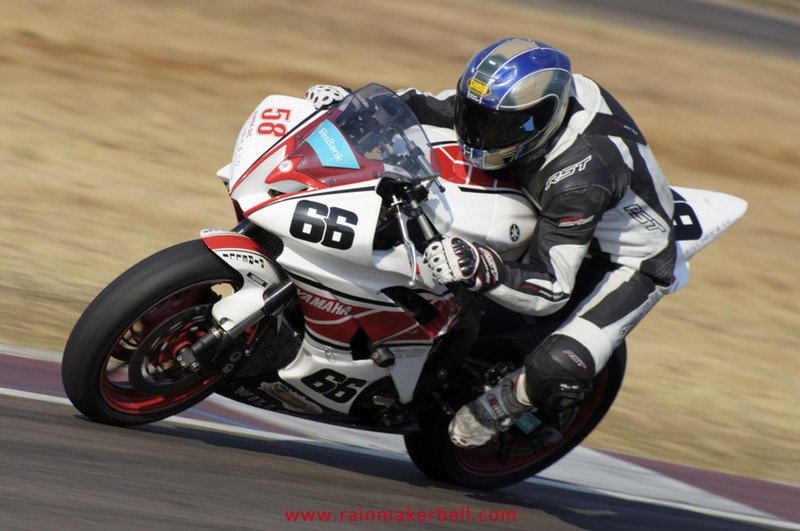 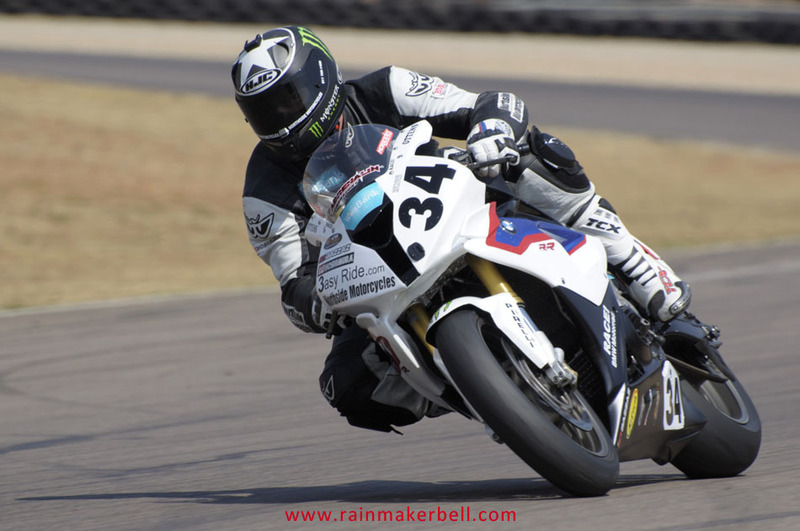 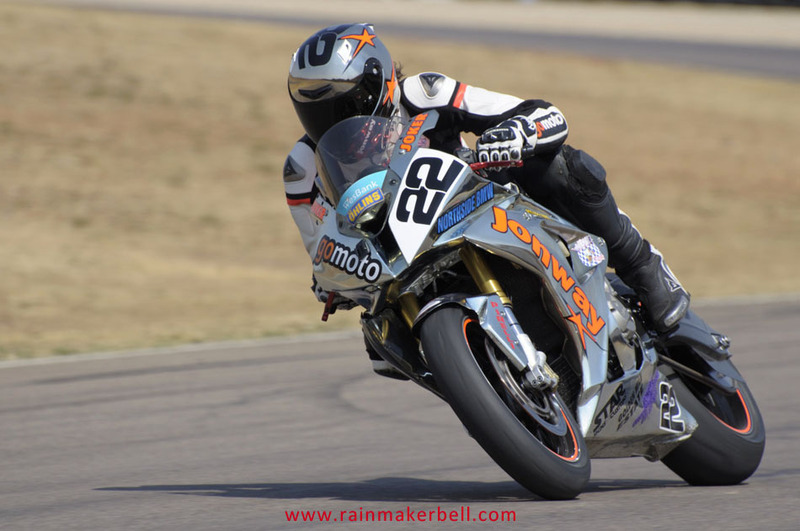 There is a noticeable under current running through the South African motorcycle race fraternity—mostly the young and susceptible—the idolizing of overseas riders. 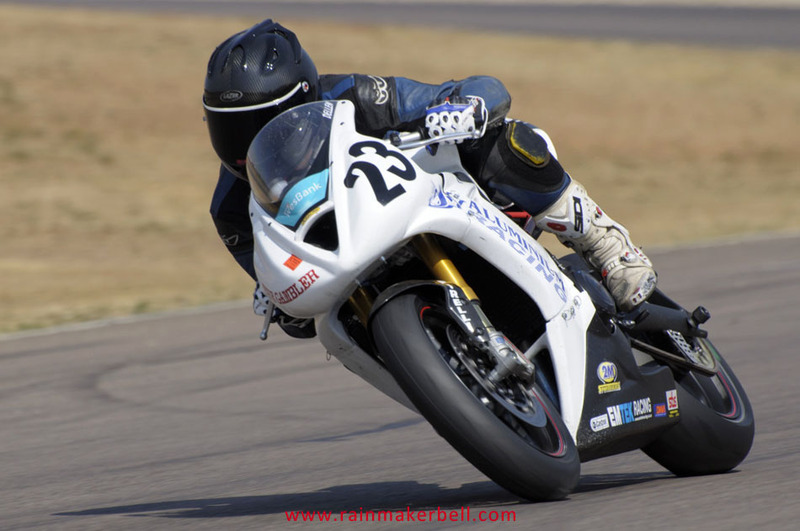 Creeping in from under the doors of our own established structures; turning the heads of the impressionable toward another sun. 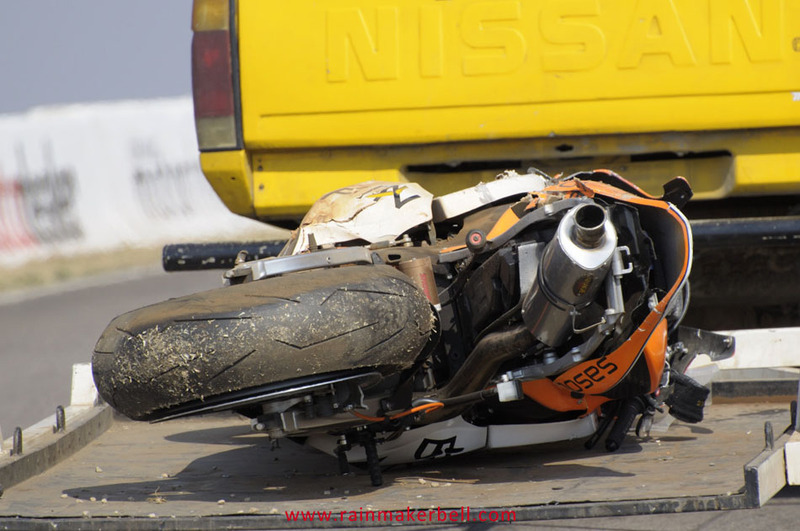 Are we inadvertently adding to this? 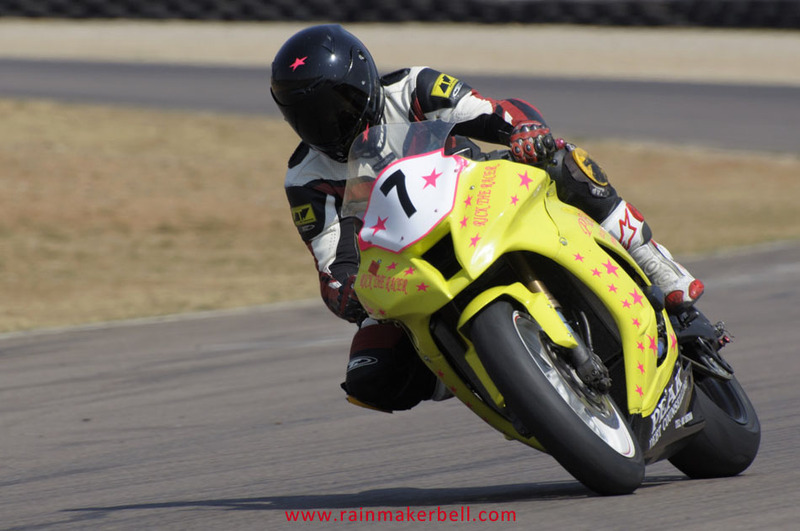 Magazines filling their pages with international content, while publishing maybe three or four pages on local content; youngsters wearing clobber that profoundly projects race names and numbers of scoot jockeys from another, sometimes elusive, world. 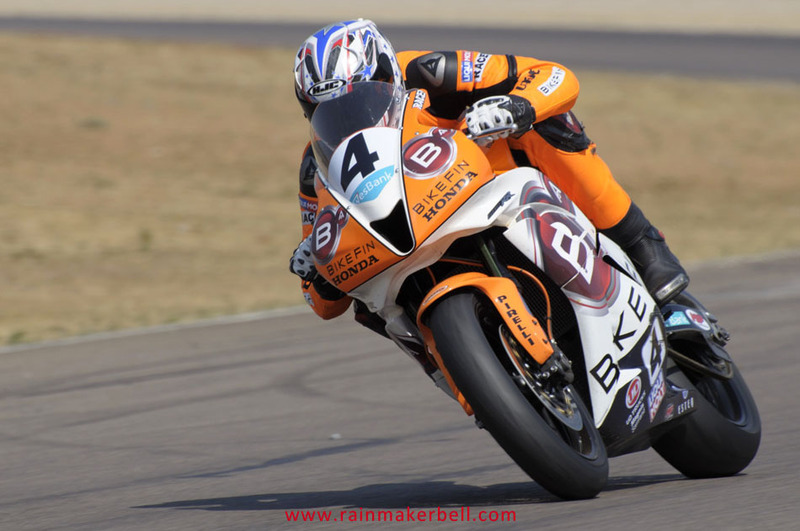 A foreign number appearing on the tanks and race seats of Masters; redirecting our thoughts to a man that had a very unfortunate incident during his illustrious career. 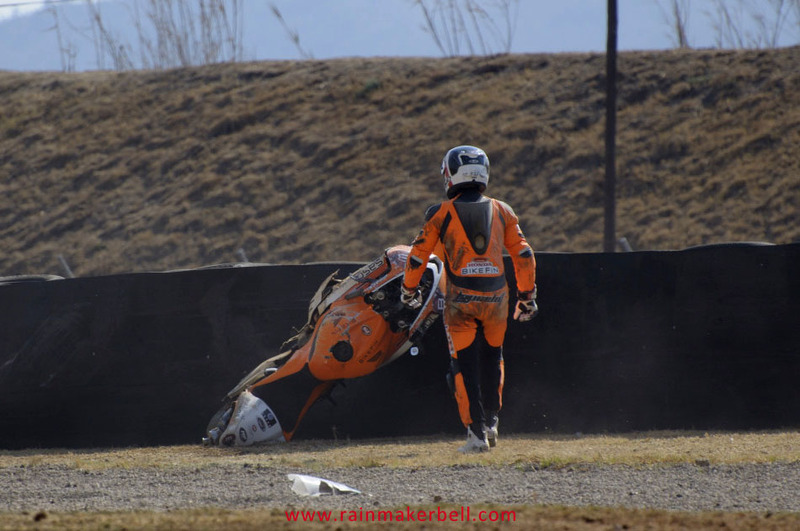 I noticed a group of youngsters around a table, knocking back monstrous energy drinks, all wearing T-shirts projecting famous numbers in the midst of local heroes—not noticing the immediate effect of their actions; a father proud of his own son, but the neighbour’s offspring lies closer to his heart? 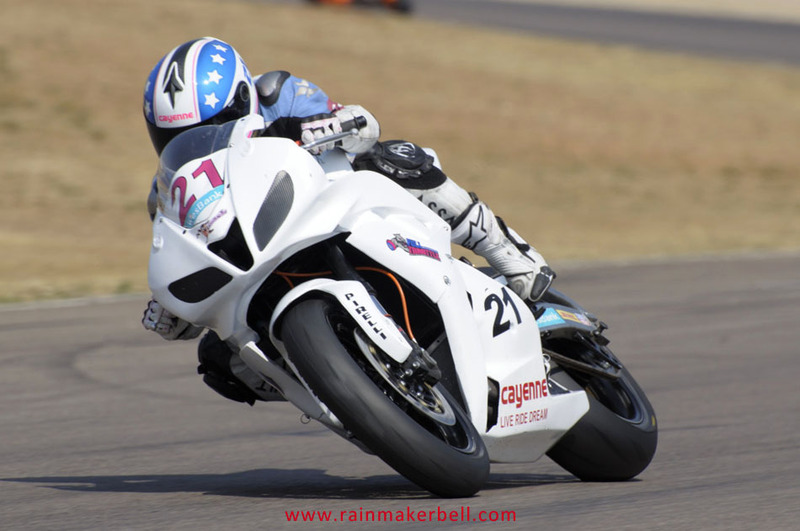 Can this be inspiring and contributing towards our own local heroes? 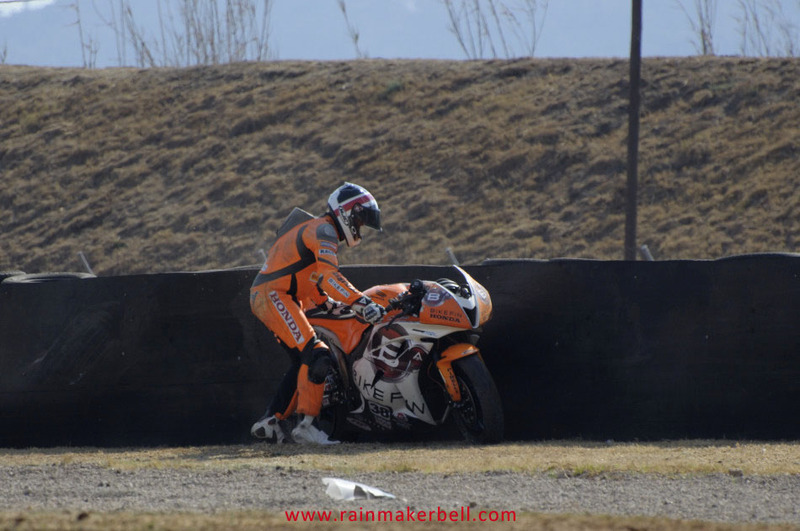 Does this type of everyday behaviour add toward the future of our own stars? 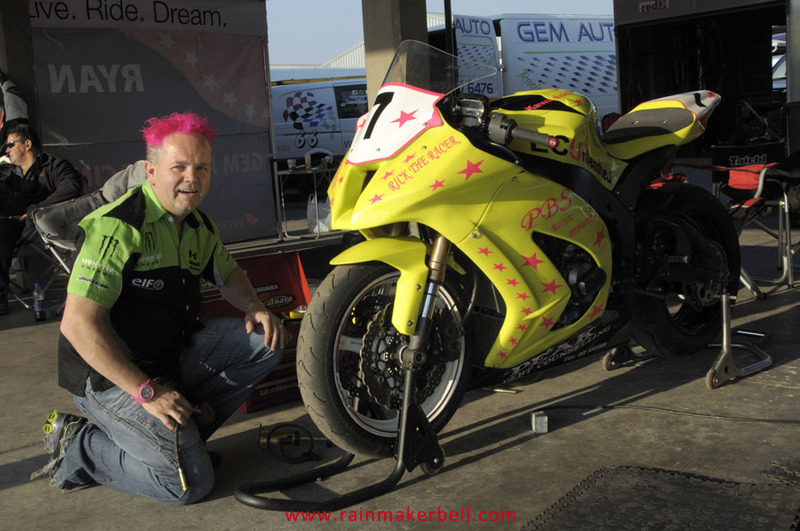 In that same garage a youngster (the same age as Stoof Stander), explained to me in detail how difficult it is to secure sponsors; the uphill battle and the cost of running a motorcycle event of this magnitude, out of your own pocket. 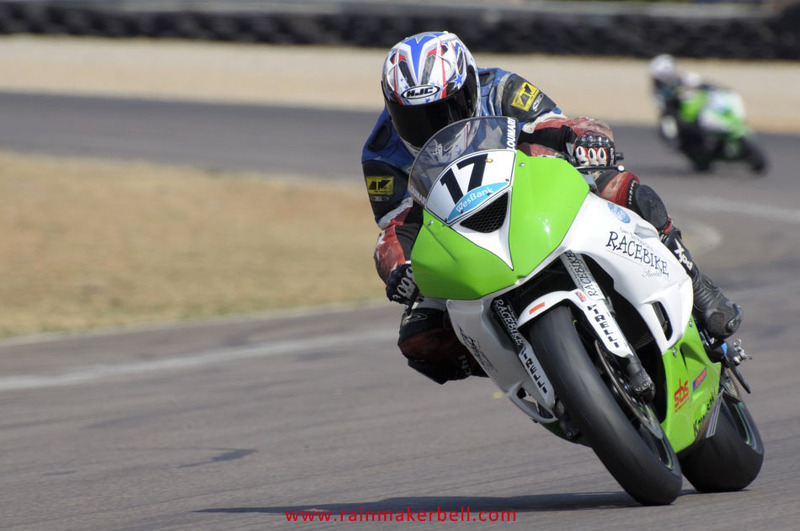 Eventually those who do not secure the right amount of funding will fade without a proper chance. 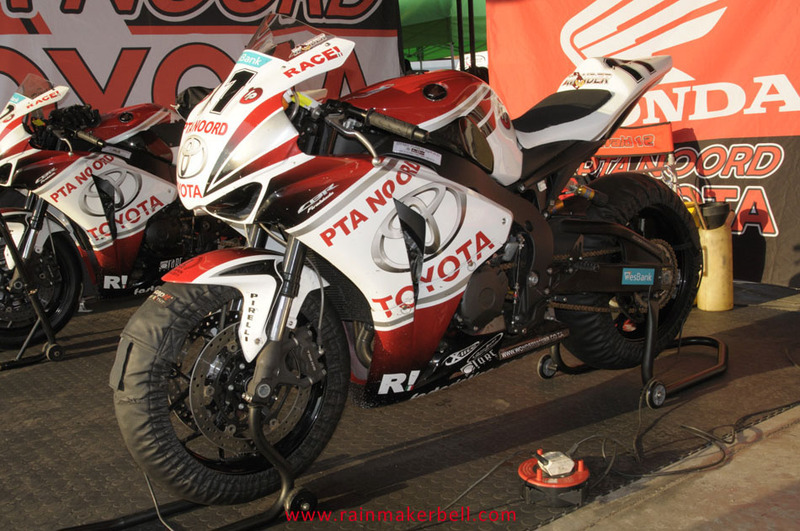 Are these types of overseas-branding-fascination (and covering of local content or lack thereof) deflecting local sponsorship and contaminating our own soil? 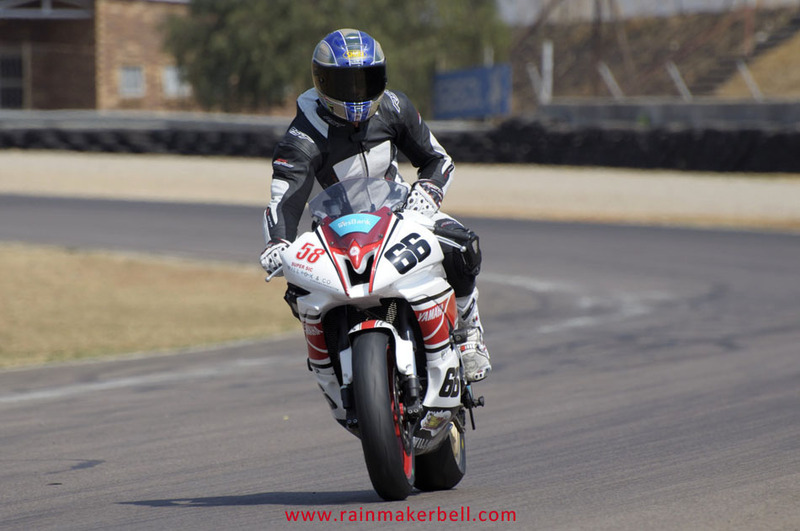 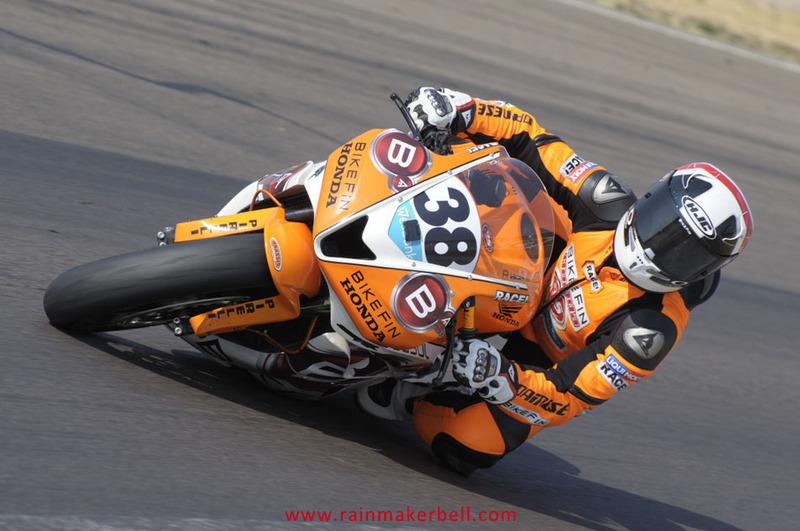 Words & Photos: Adriaan & Martine Venter (Wesbank Super Series, Zwartkops Raceway, South African Motorsport, 2012/08/24, Practice Session, 161 images) Main Image: Ryan van Aswegen #33, Honda CBR1000, Wesbank Superbikes. 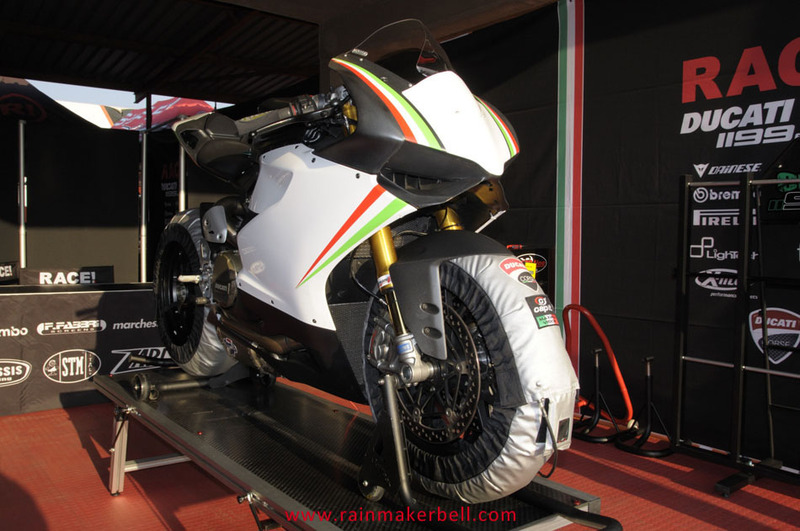 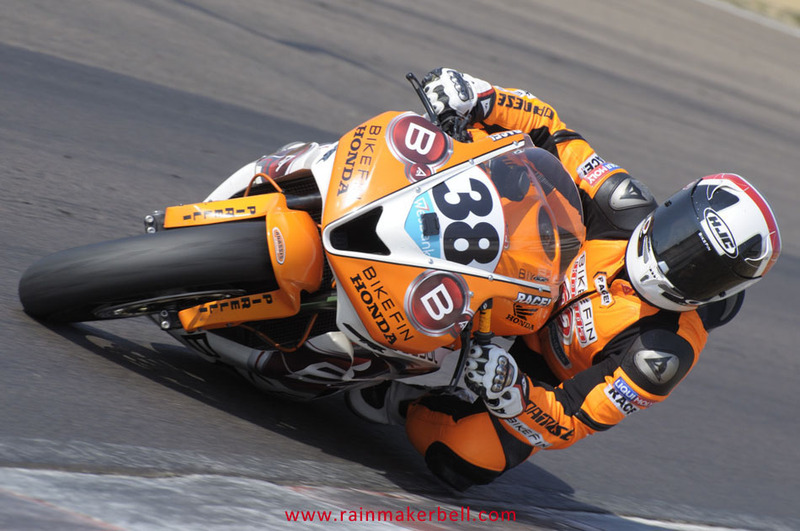 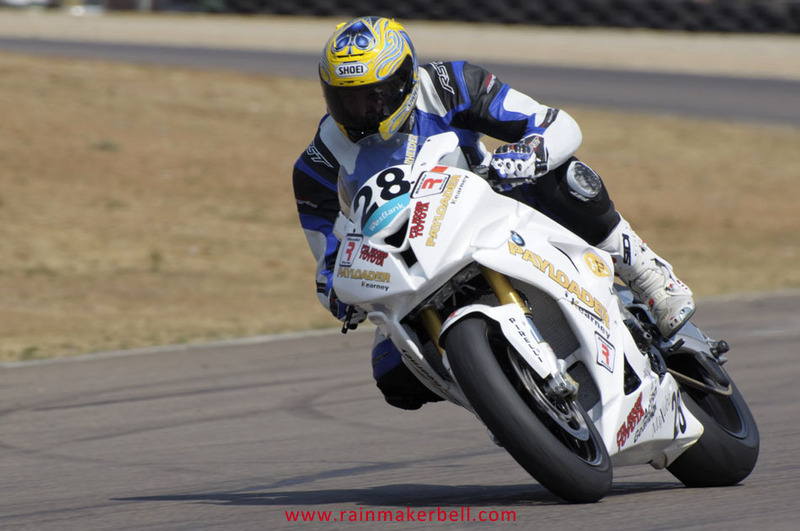 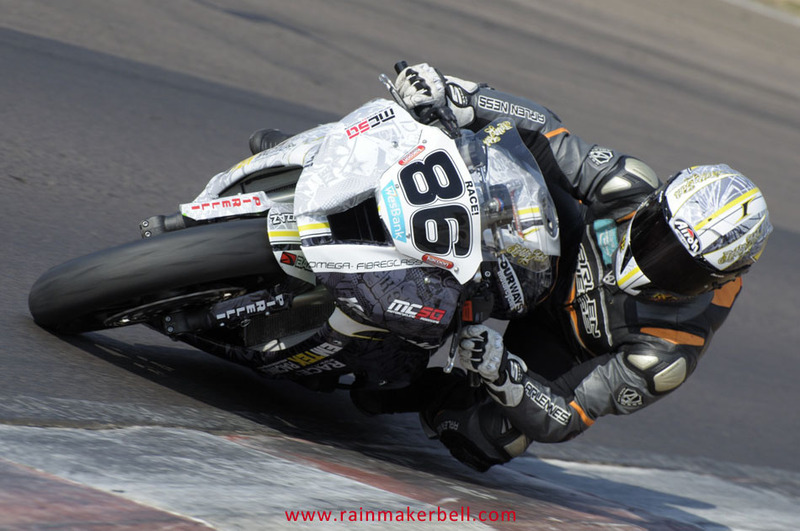 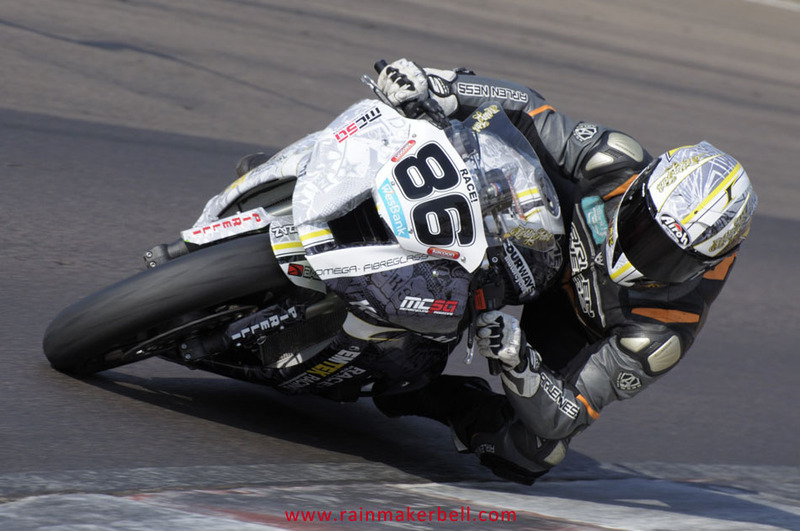 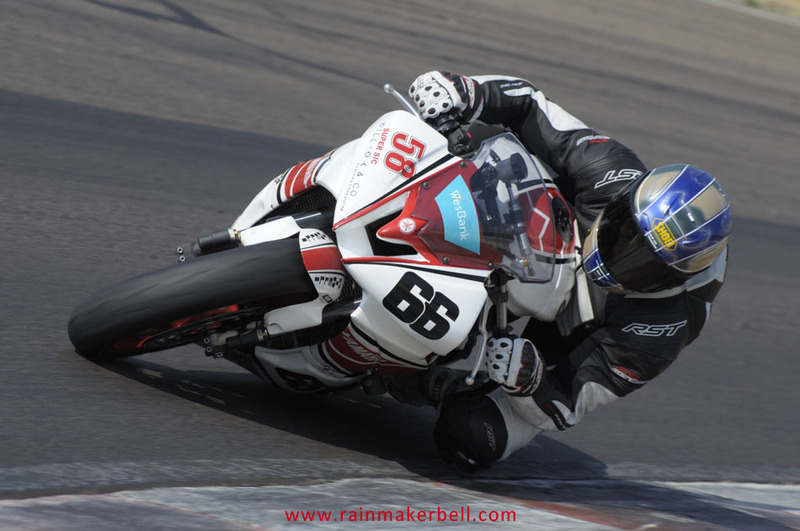 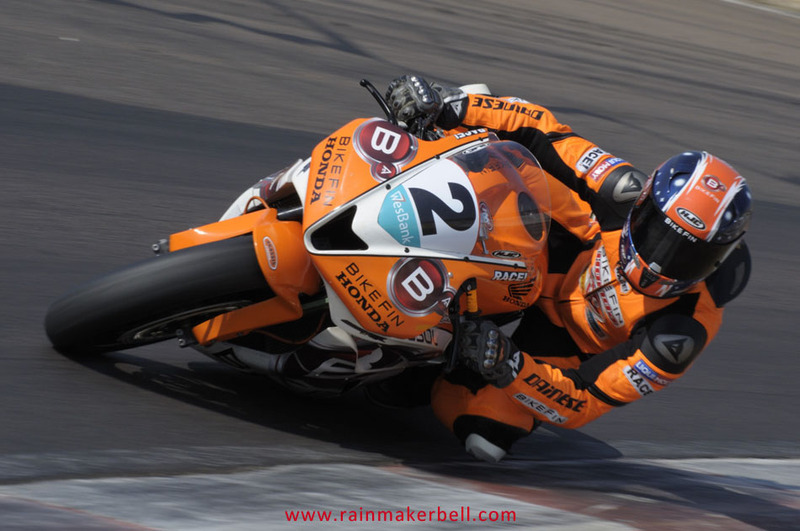 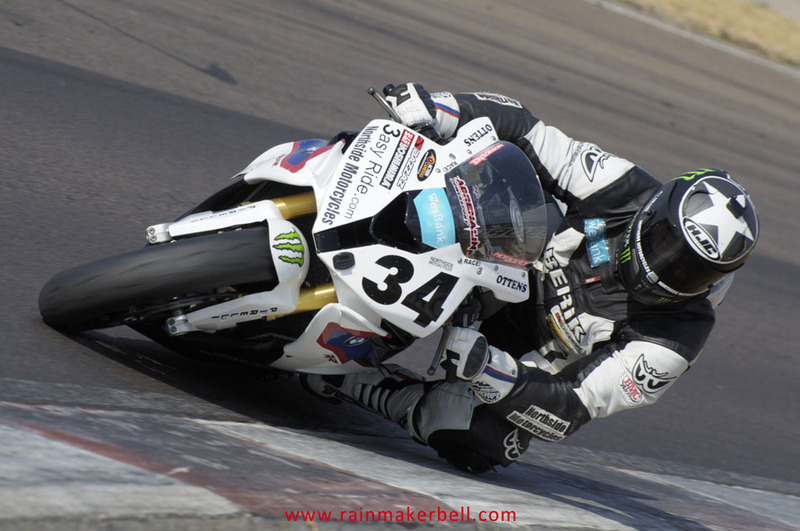 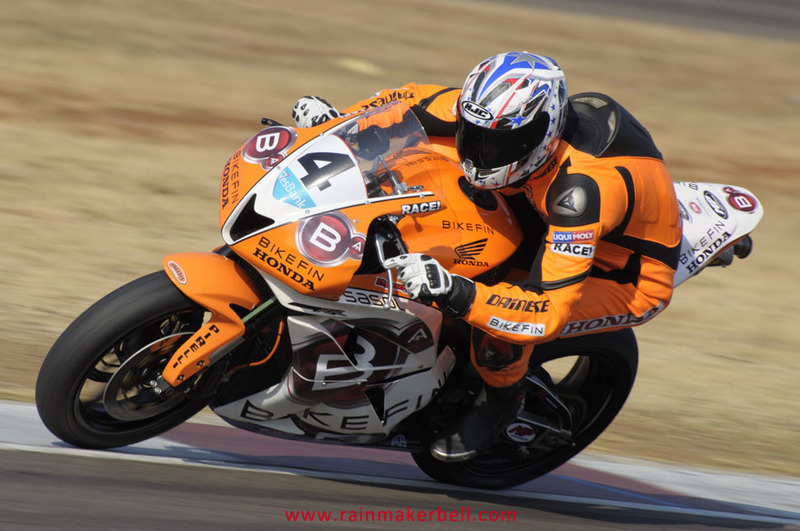 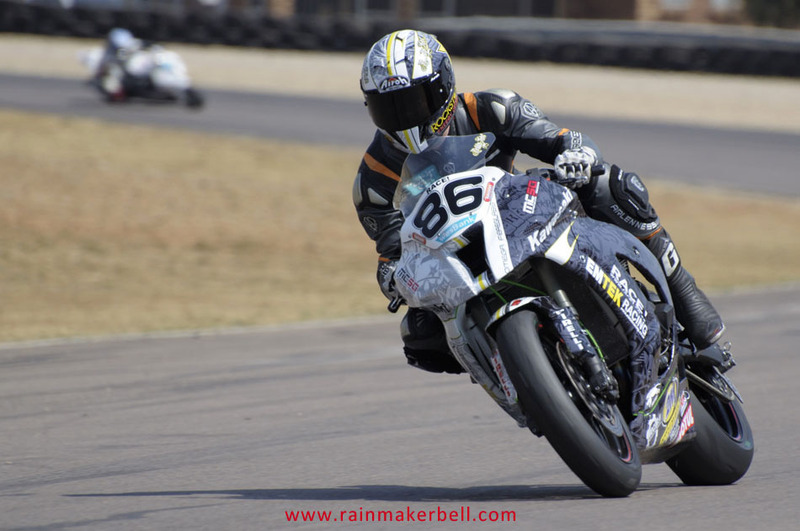 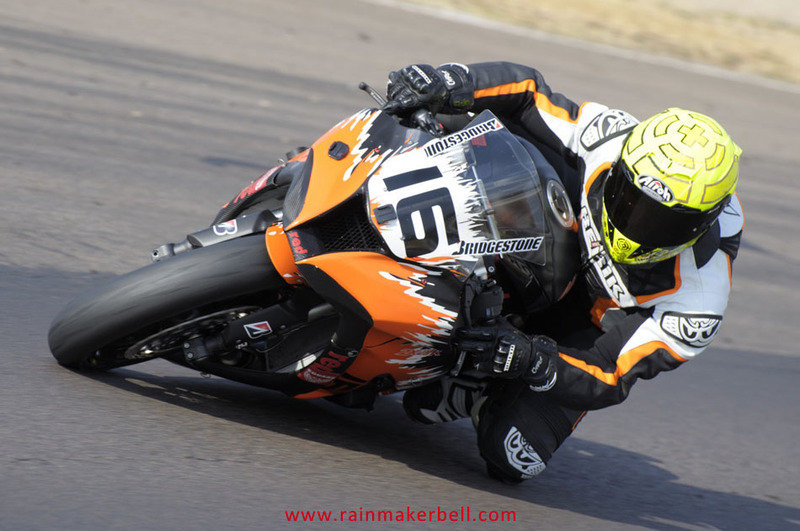 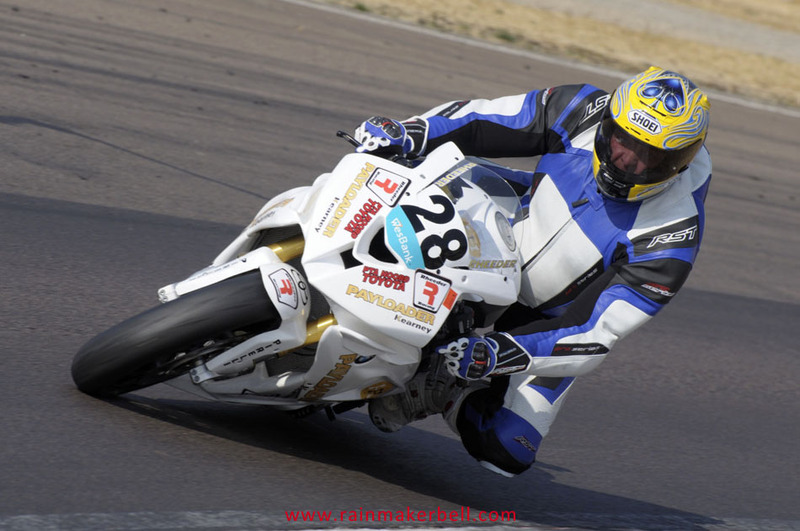 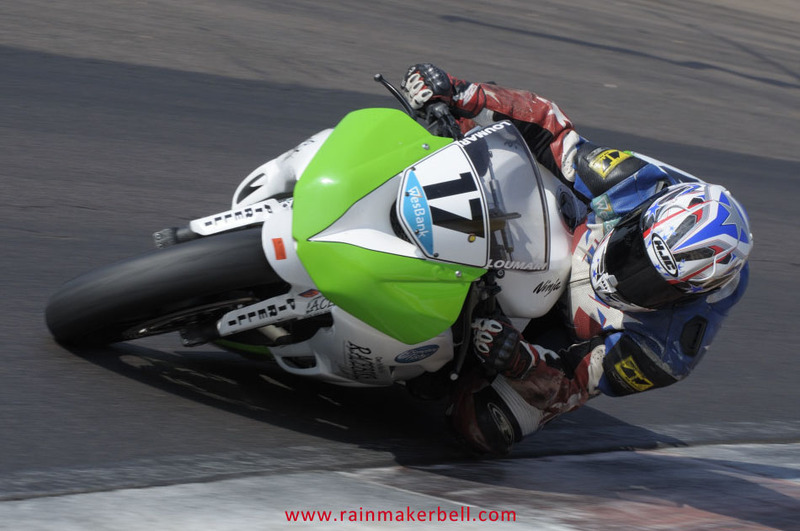 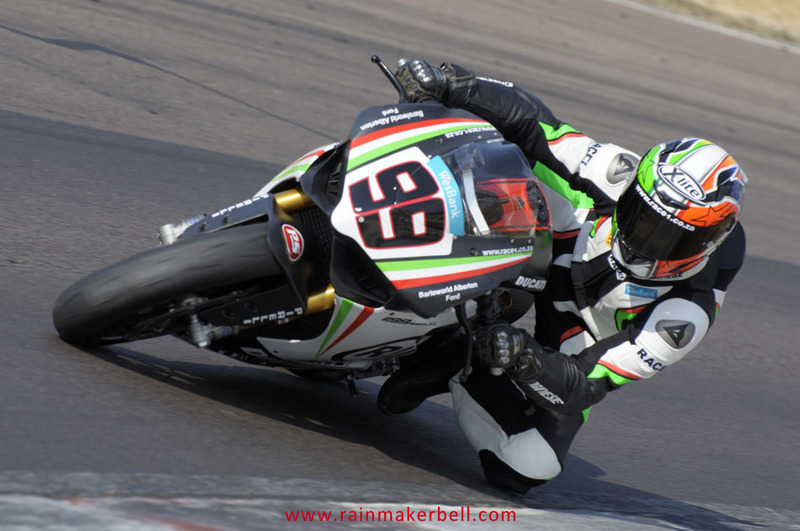 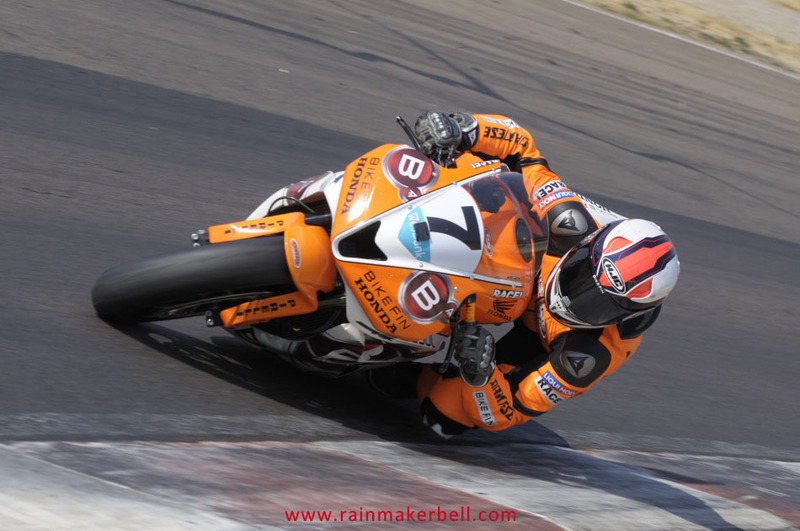 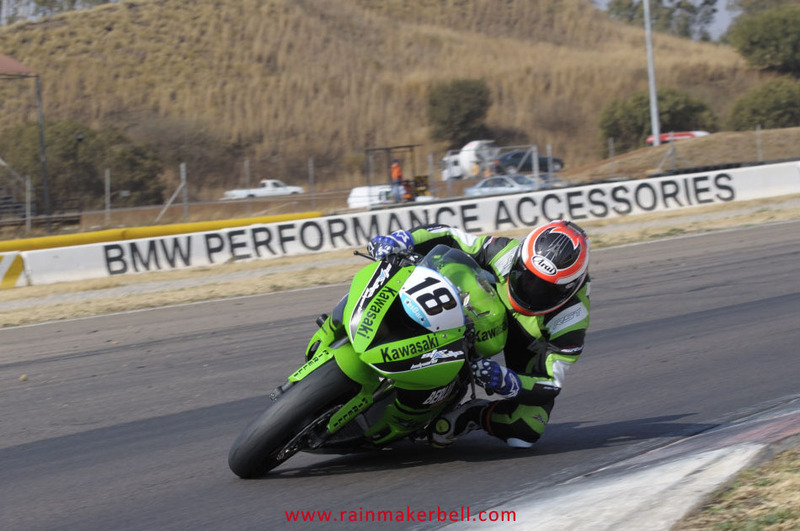 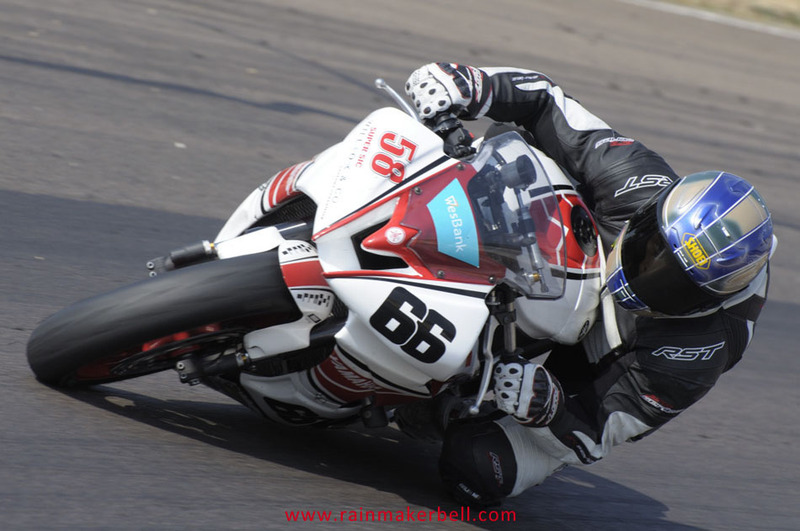 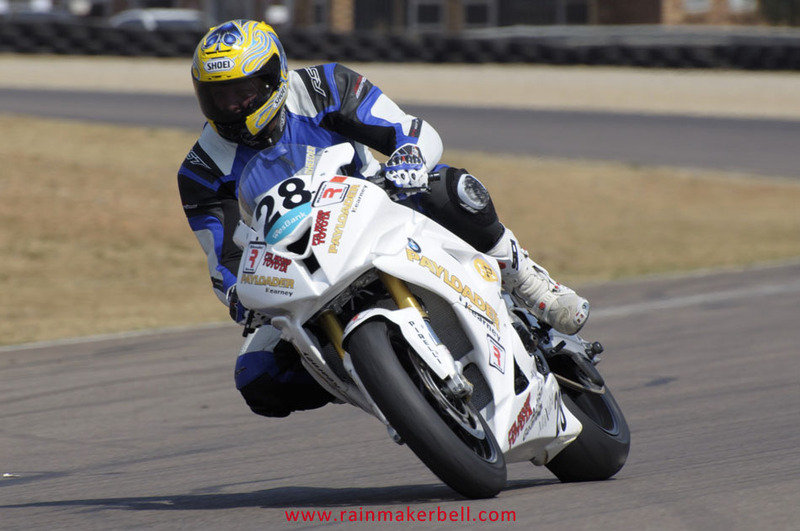 Wesbank Super Series, Supersport 600.